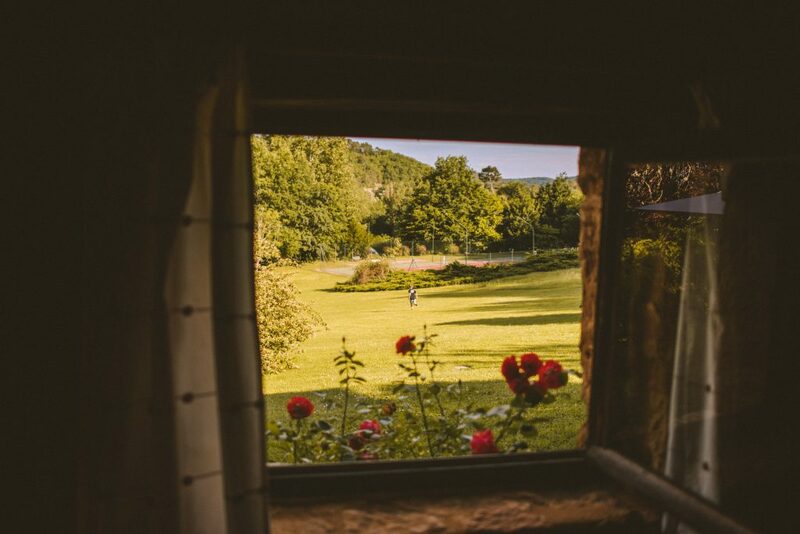 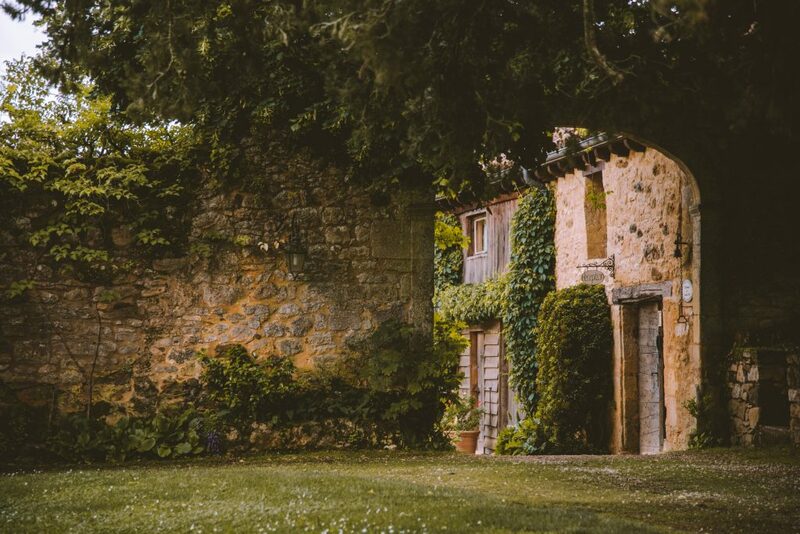 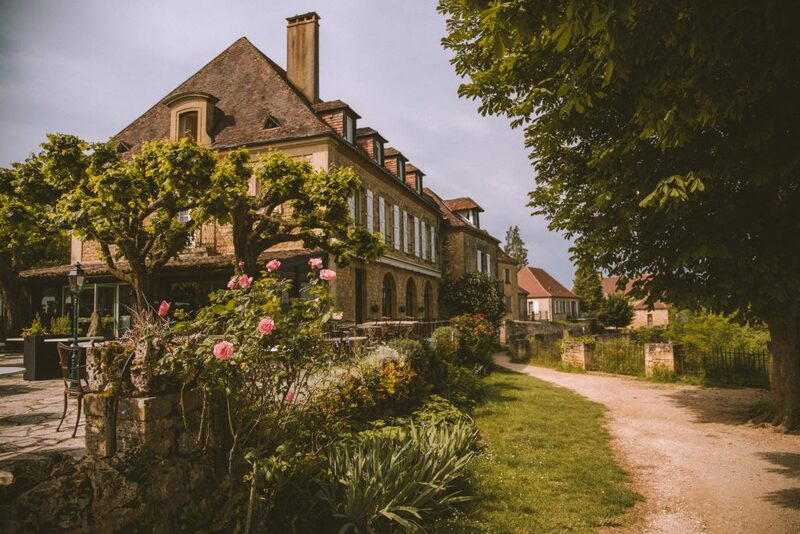 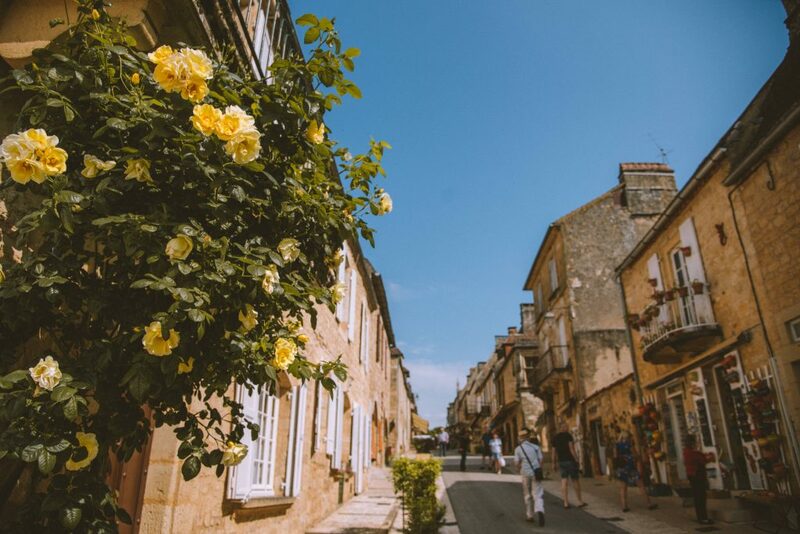 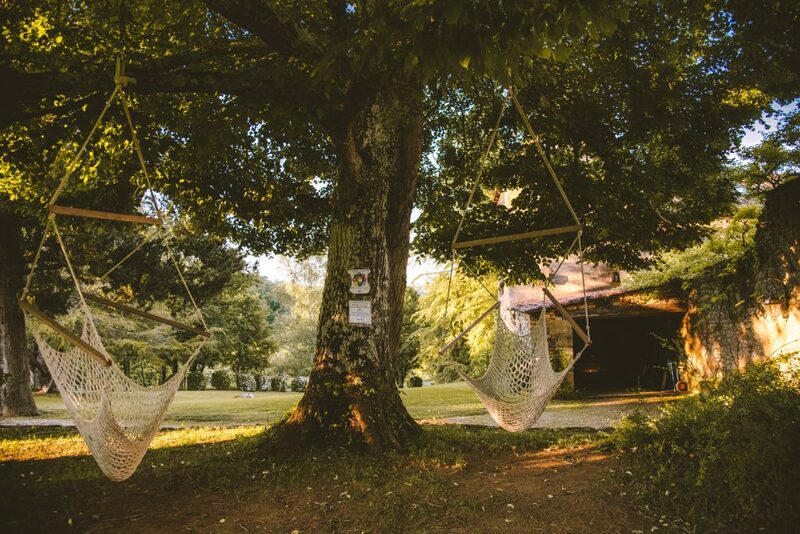 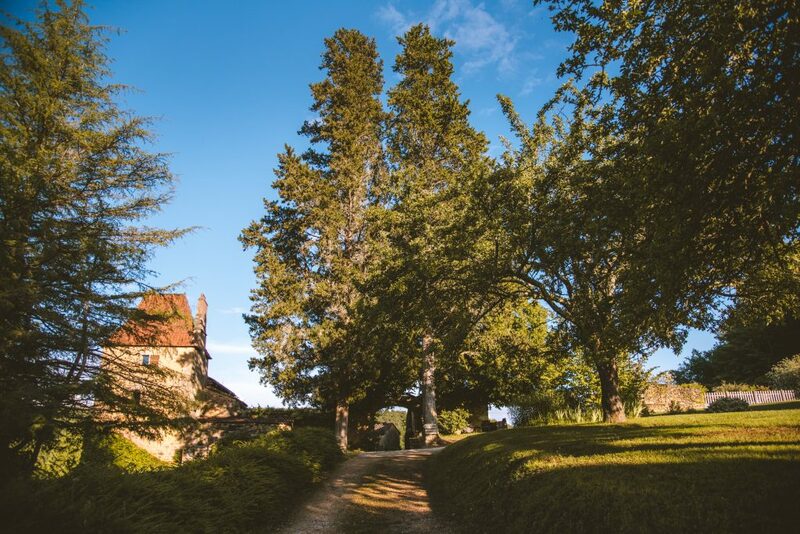 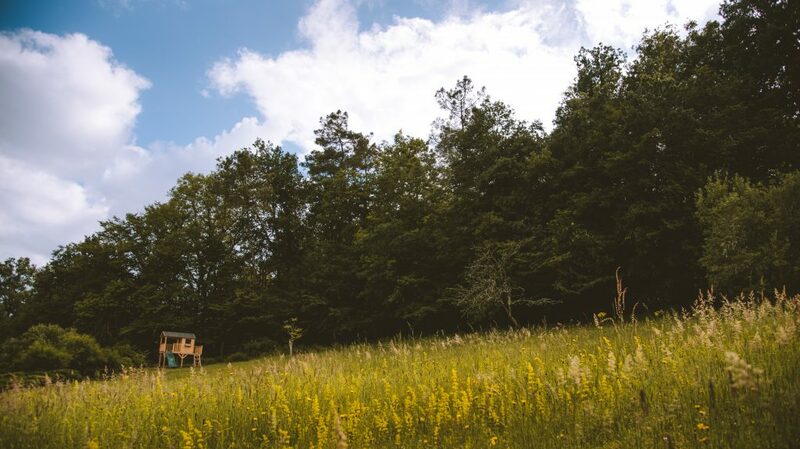 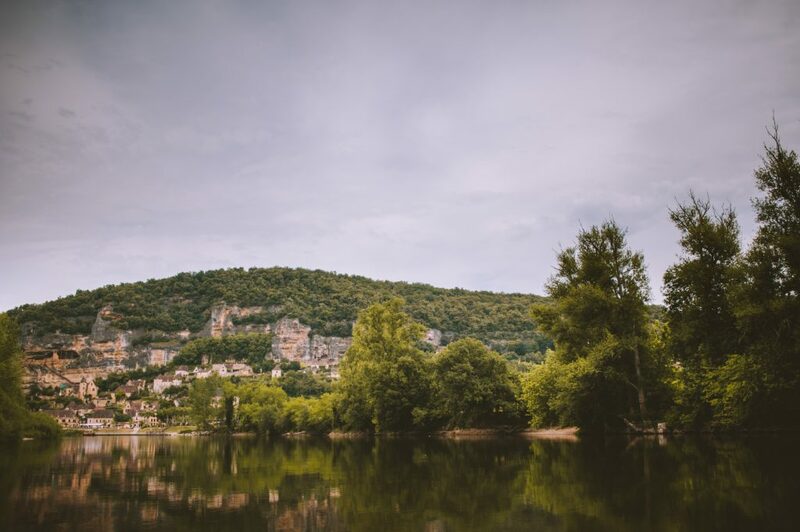 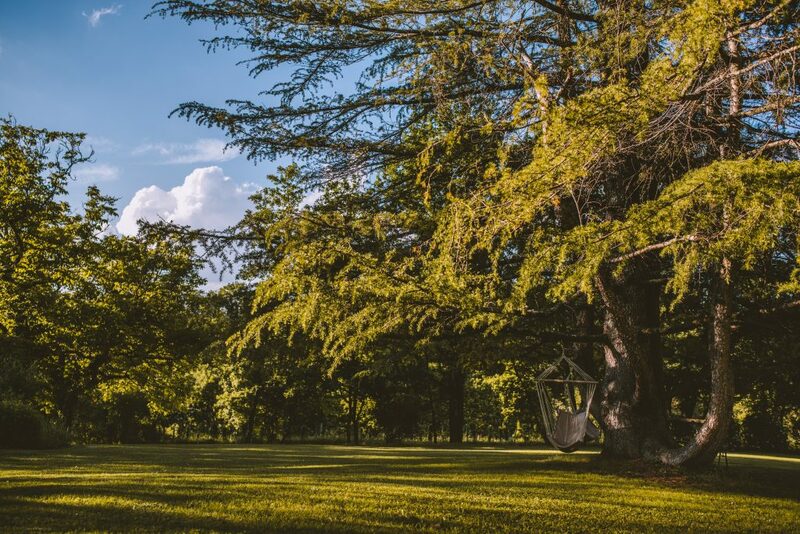 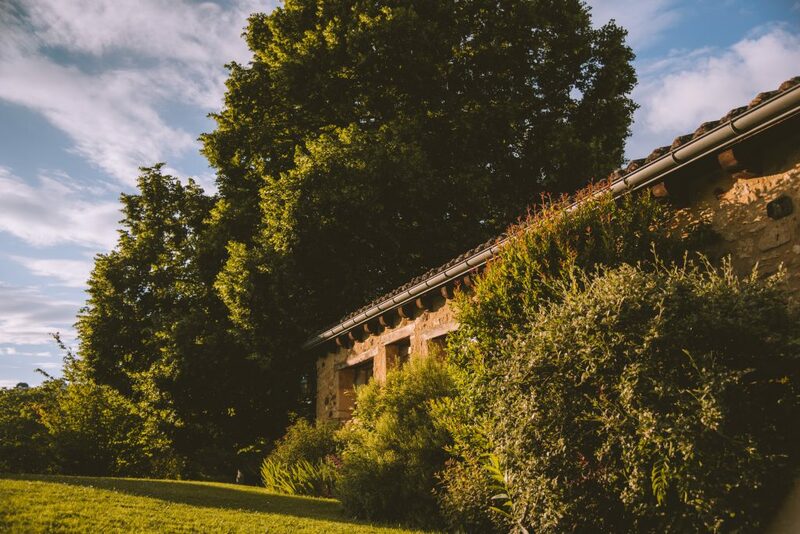 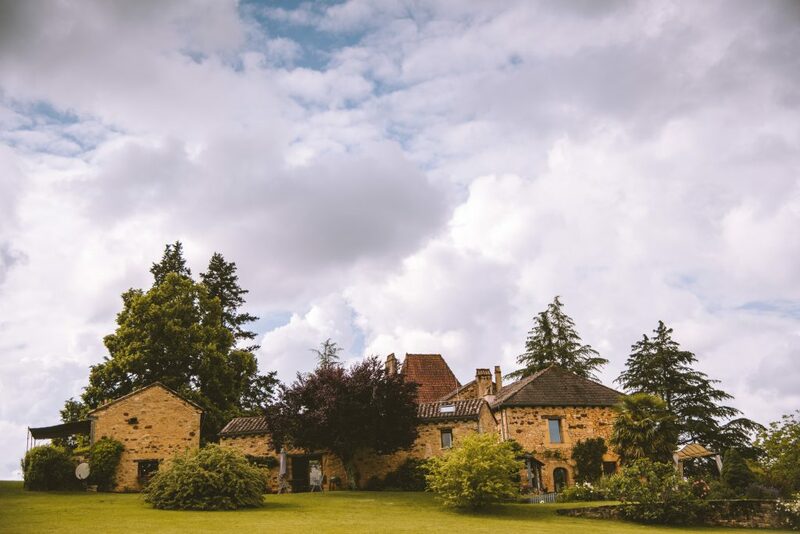 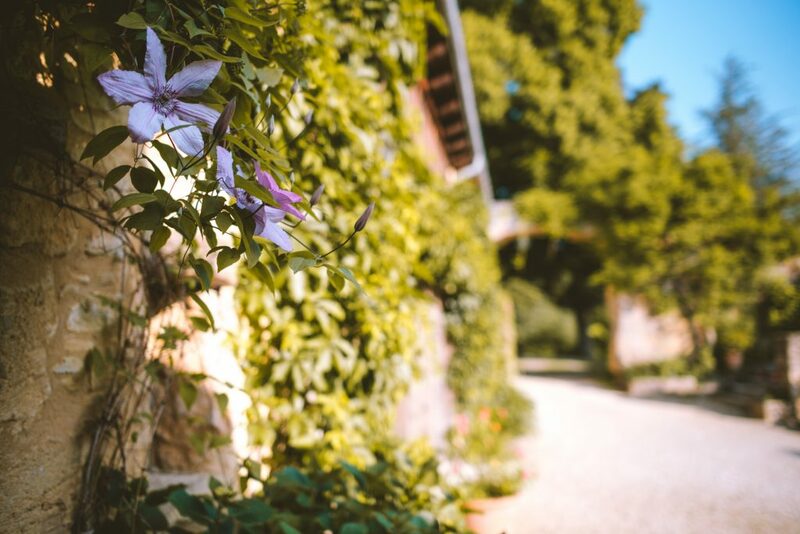 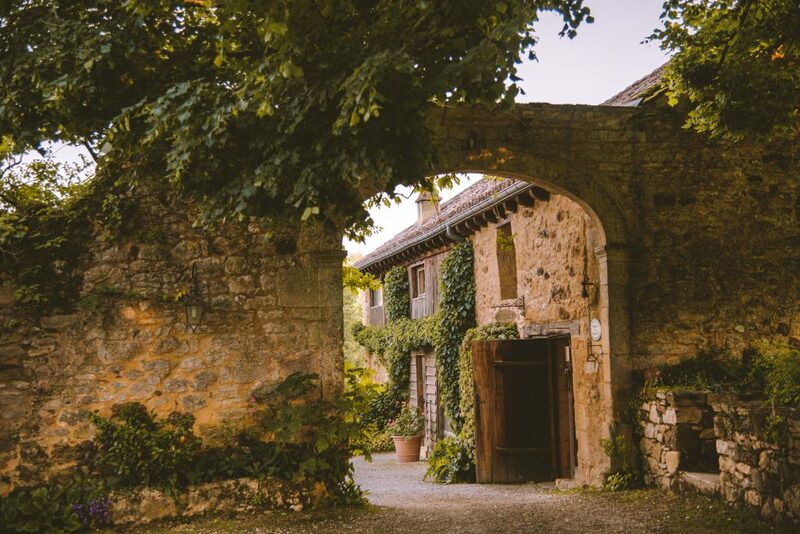 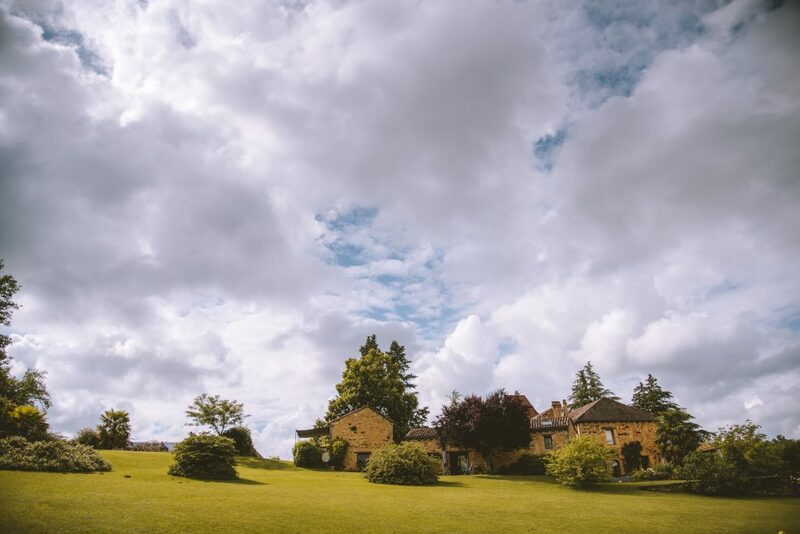 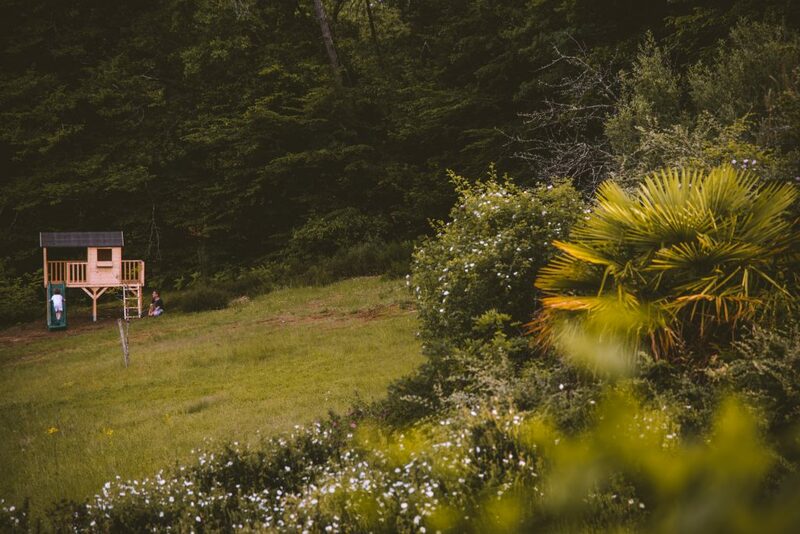 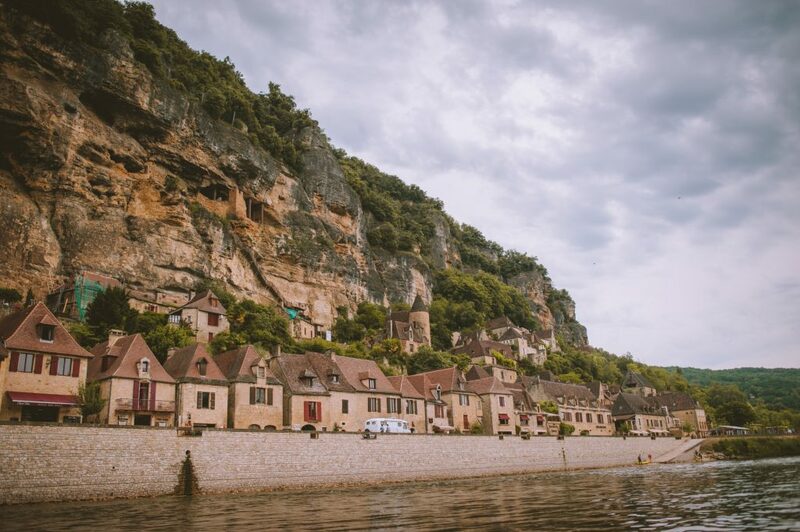 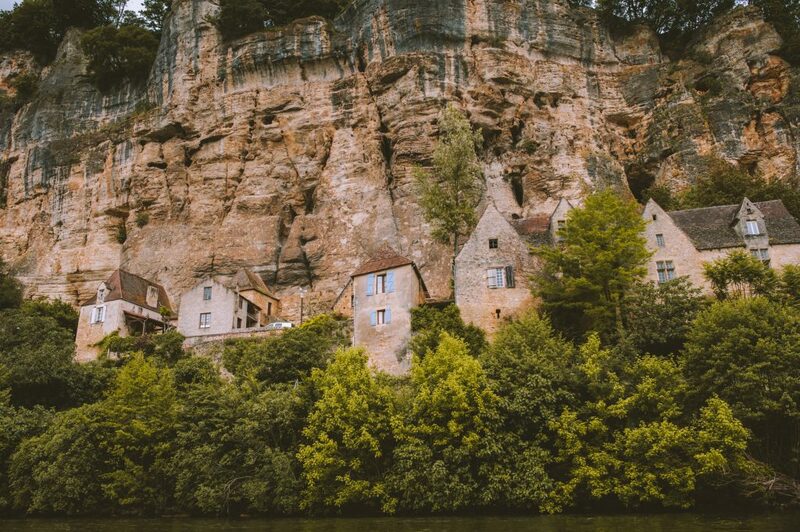 The Dordogne region of France is a place I’ve wanted to explore for a while now and finally got the chance in May with a wedding I photographed in the Dordogne at Domaine de La Léotardie. 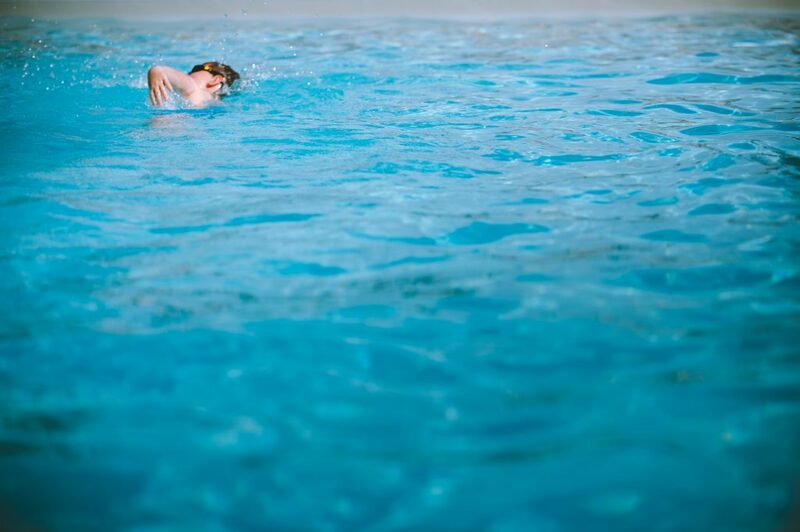 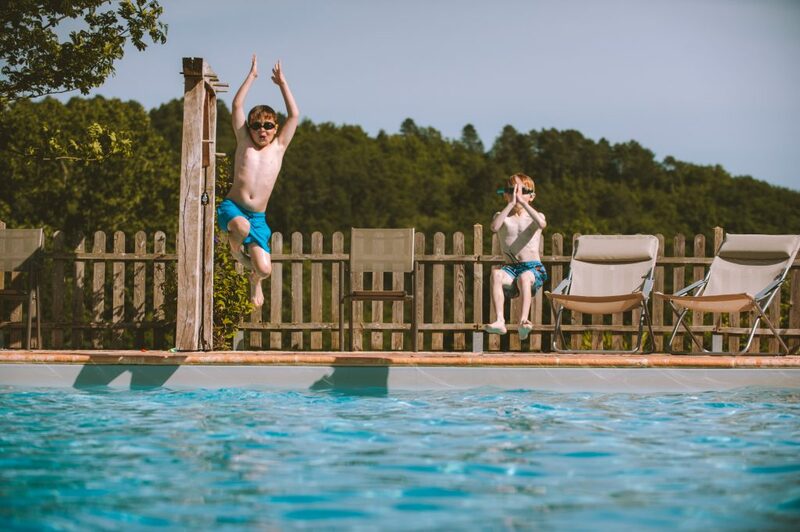 The dates coincided nicely with our boys school half-term so we made it into a family holiday and here’s all about about our stay along with some photos I captured. 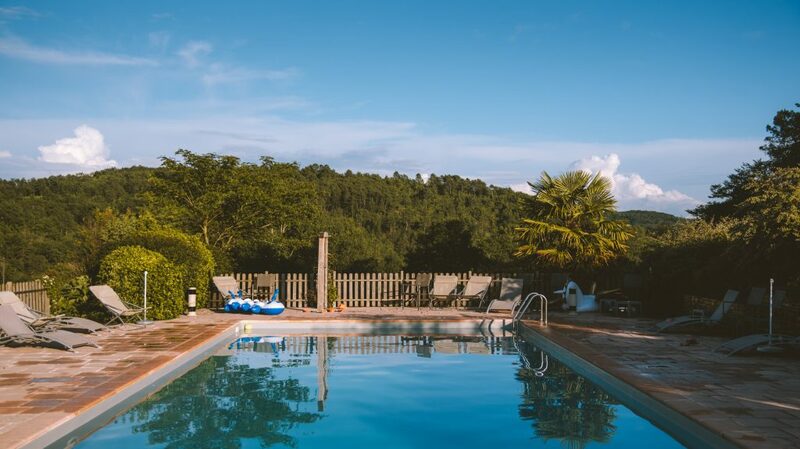 View of swimming pool & our accommodation at the Forge. 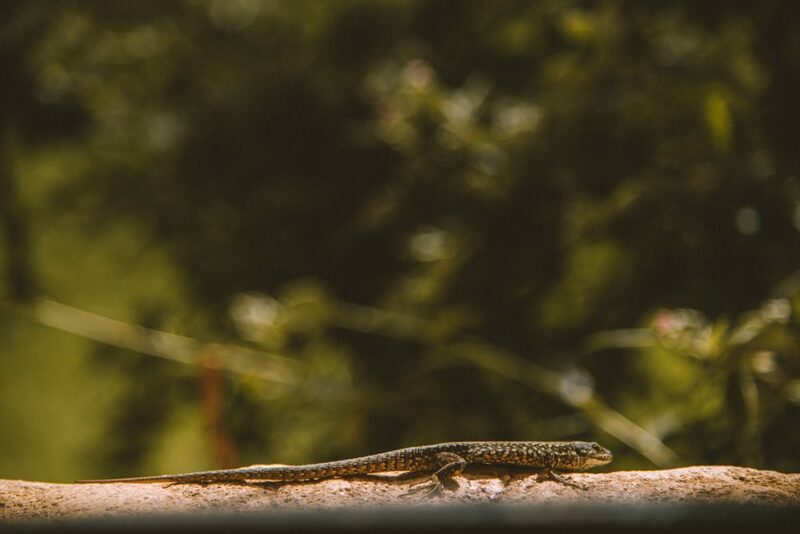 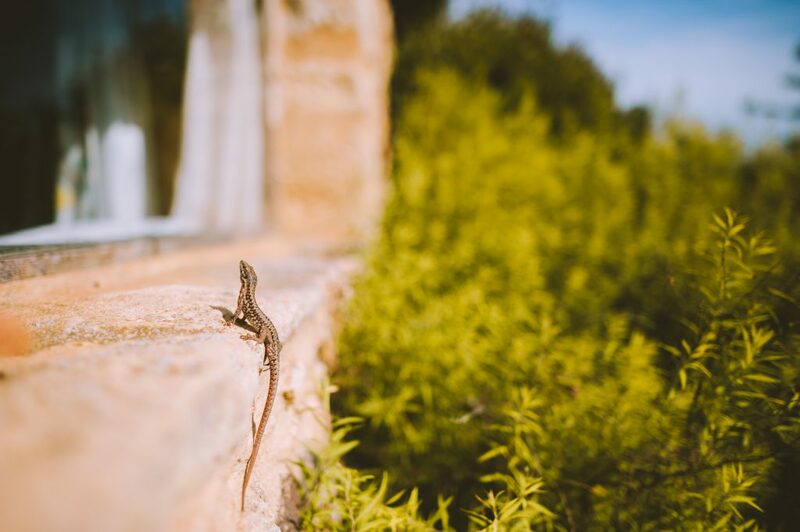 We always love seeing wildlife when on holiday and at Domaine de Cournet Haut you have some lovely geckos. 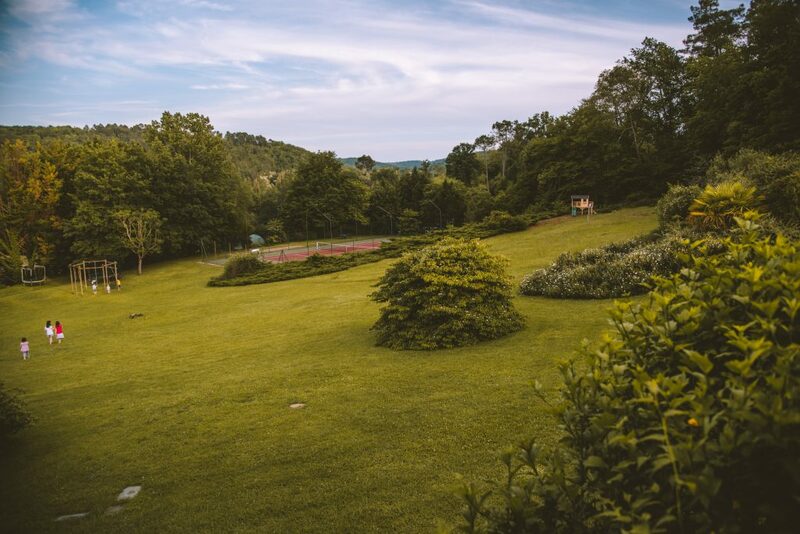 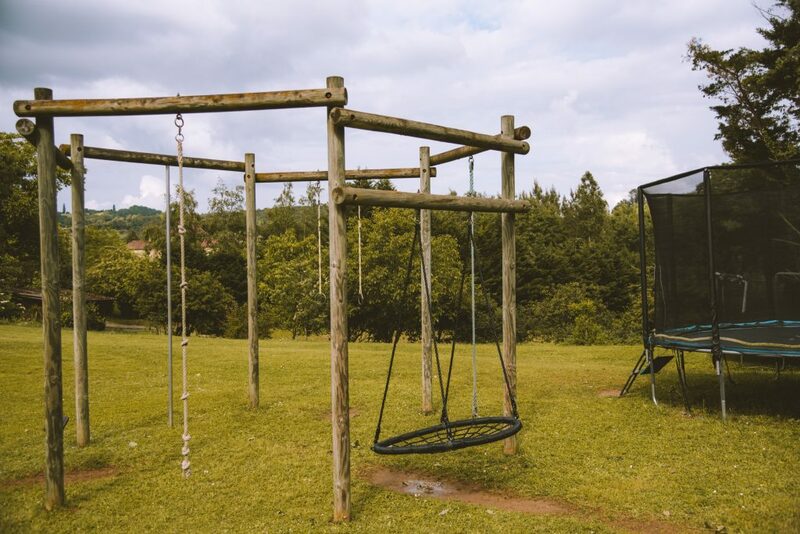 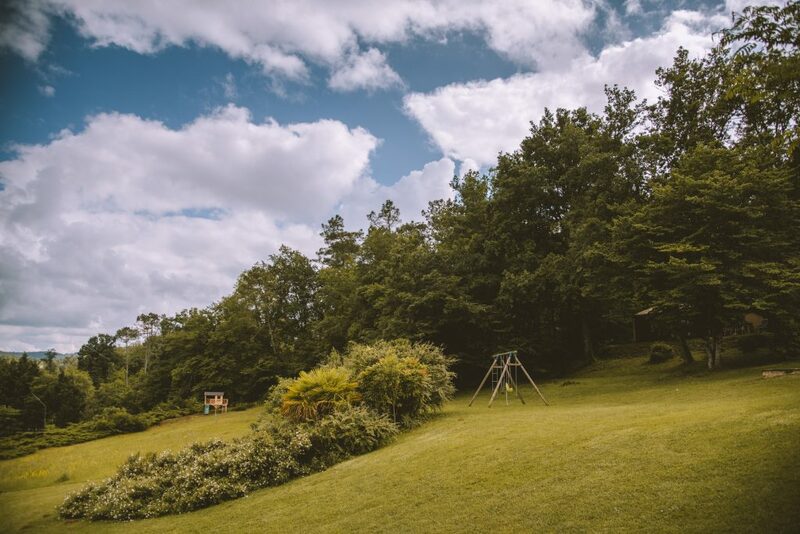 The grounds of Domaine de Cournet Haut is perfect for families as it’s very safe with everything contained within the boundary of the property, no busy roads nearby and there’s loads of things to play with including archery, tennis, trampoline, swings, play house, and the beauty of being in the Forge is you can see the whole area from the terrace area. 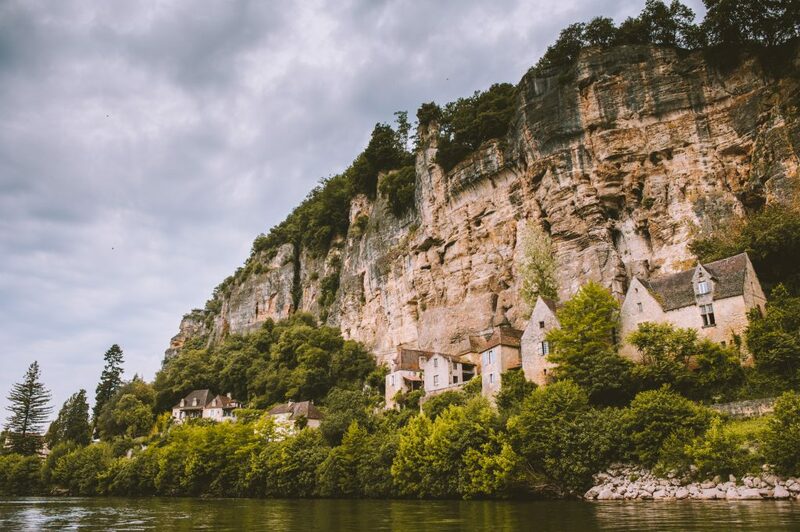 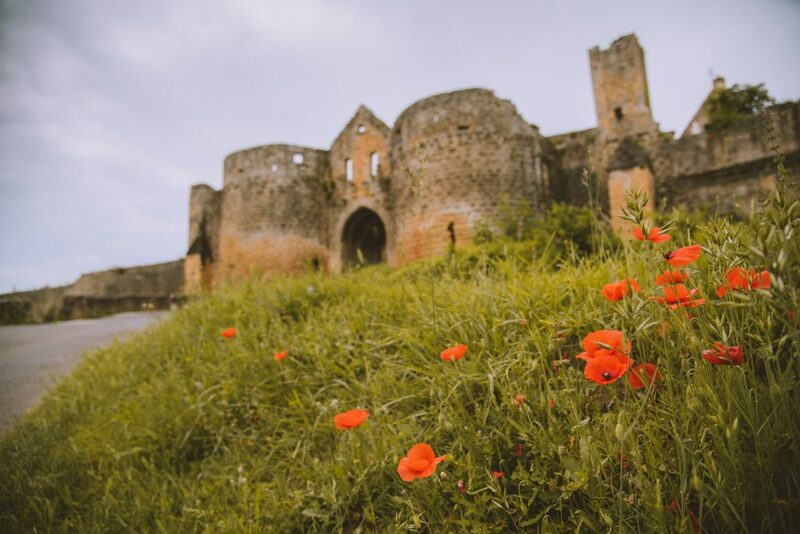 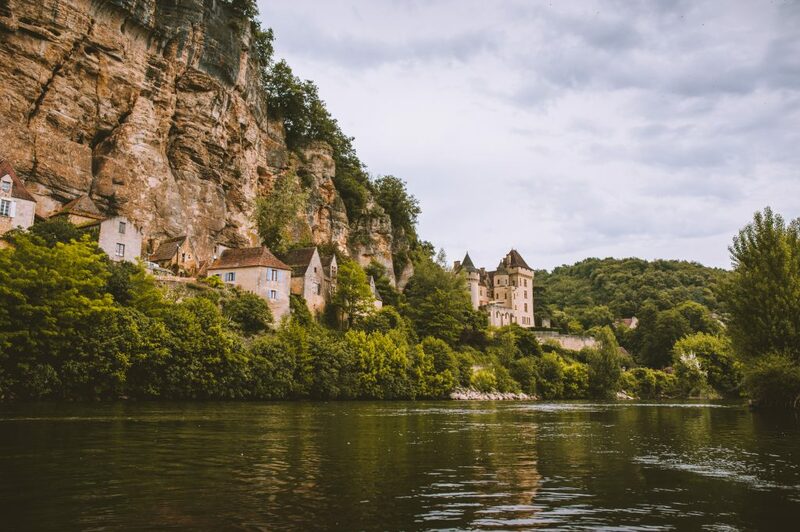 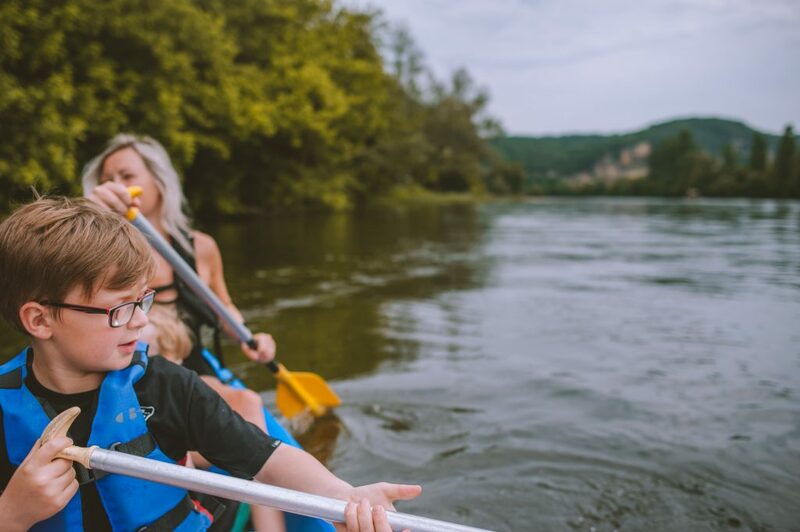 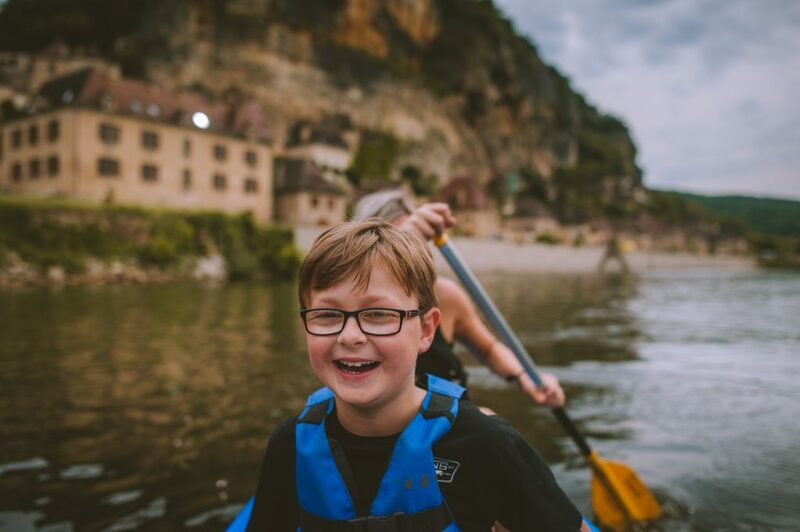 We couldn’t come to the Dordogne without taking a trip out on the river so we hired a family kayak and enjoyed a couple of hours meandering along enjoying the sights as we passed countryside, wildlife, villages and castles. 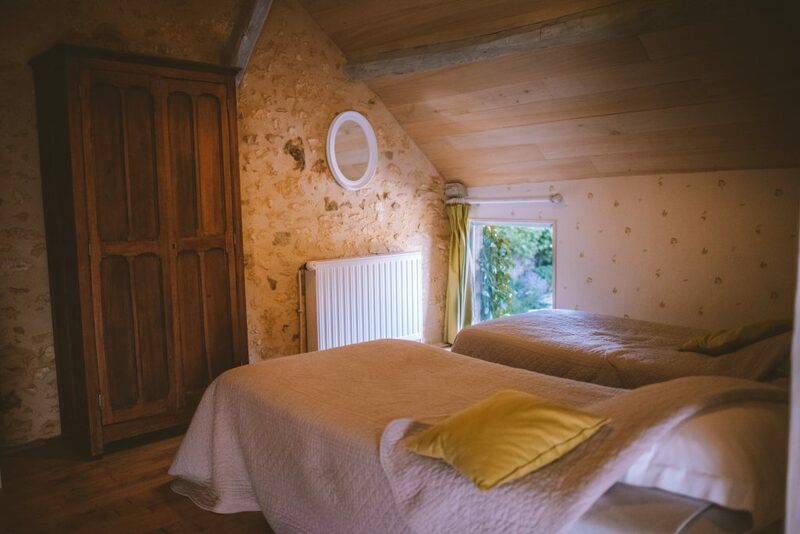 Domme was our favourite place we visited during our week stay. 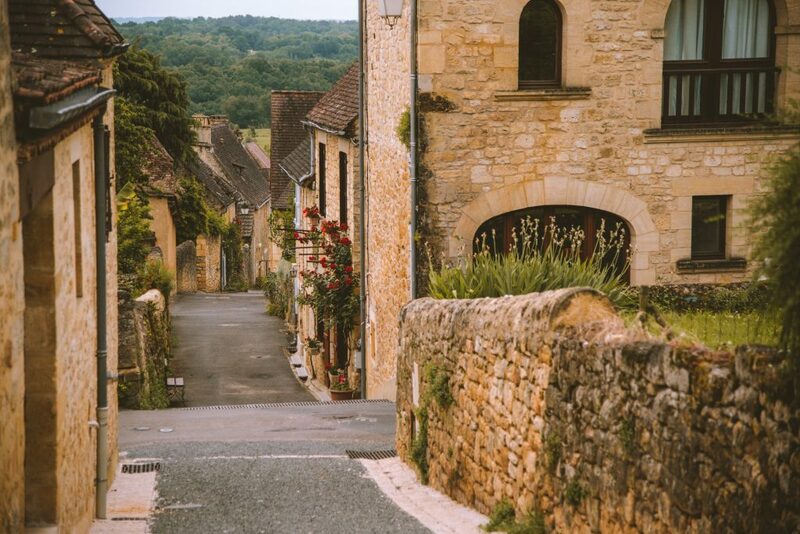 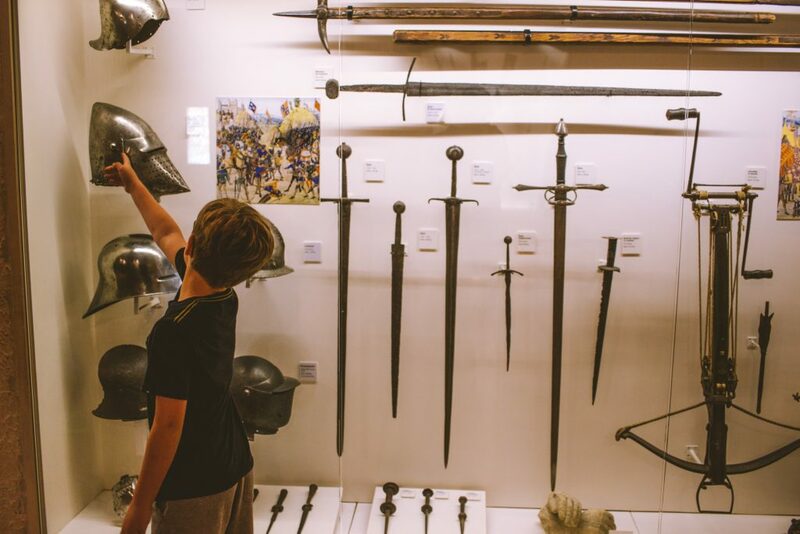 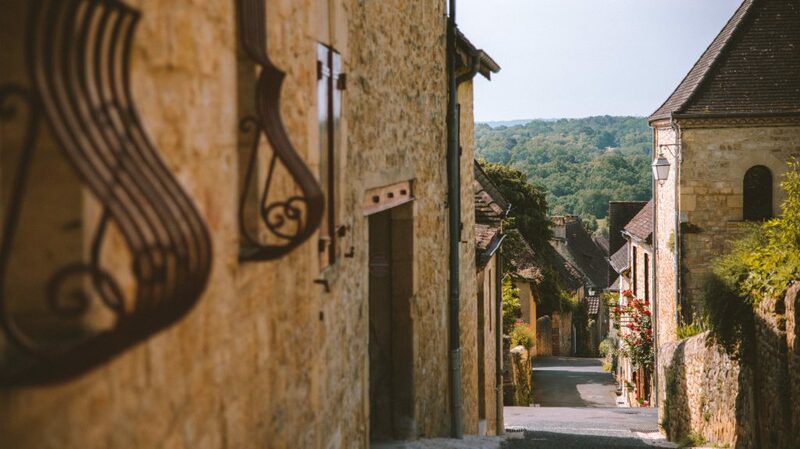 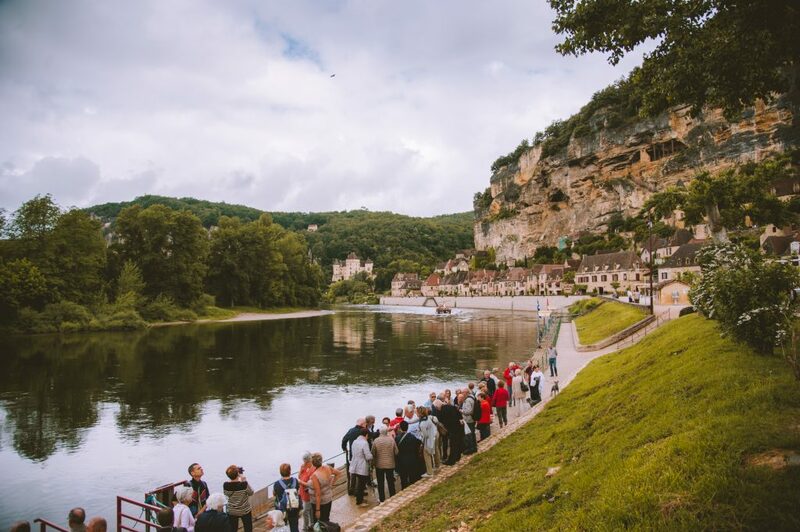 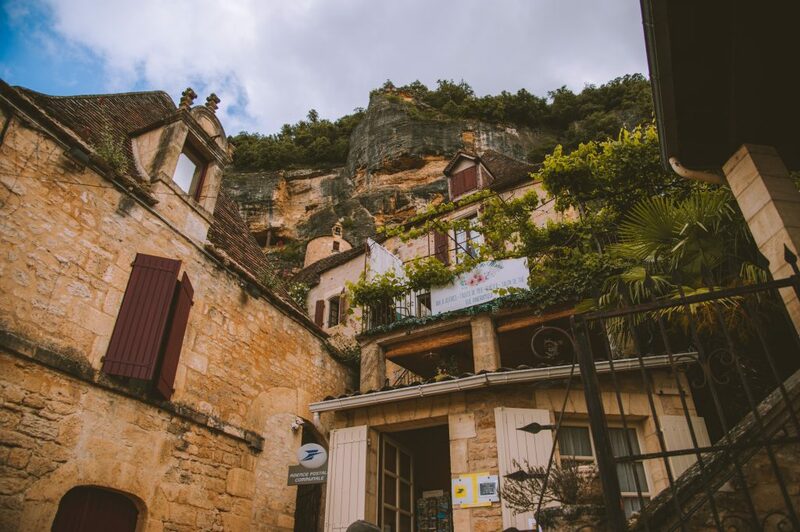 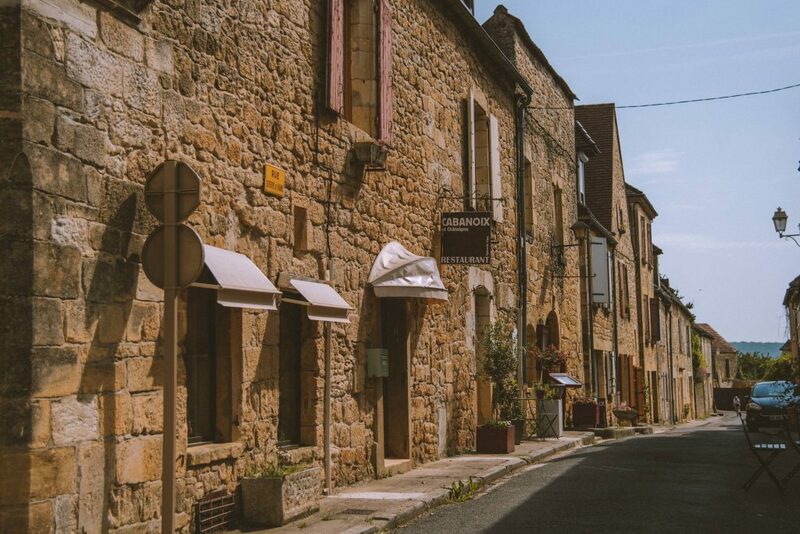 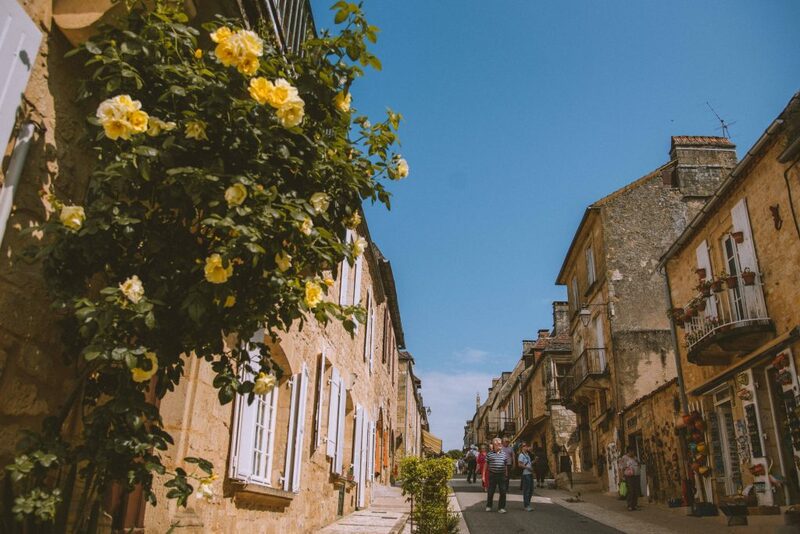 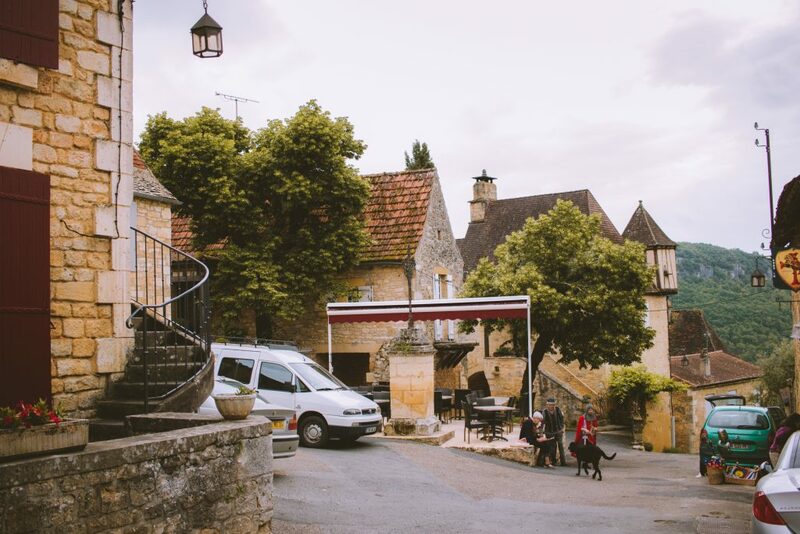 It’s a beautiful Dordogne town where it feels like you’re stepping back into medieval times. 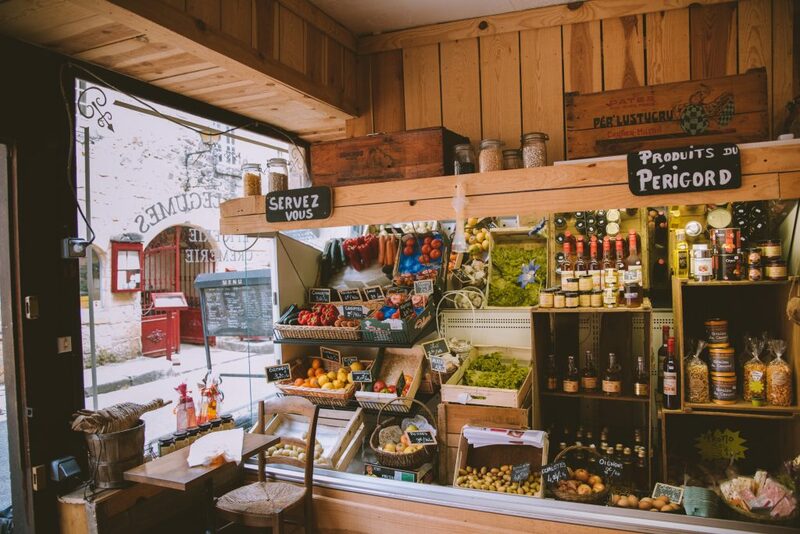 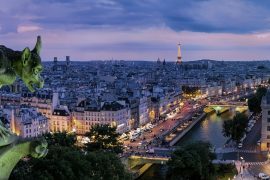 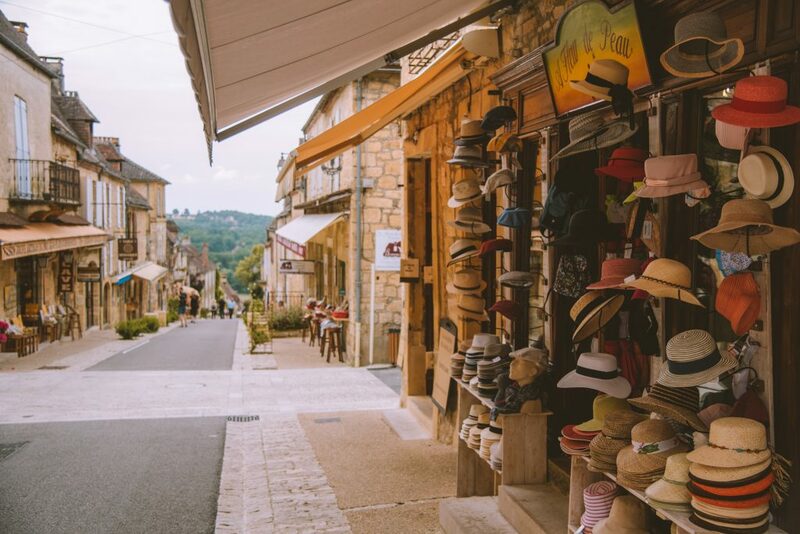 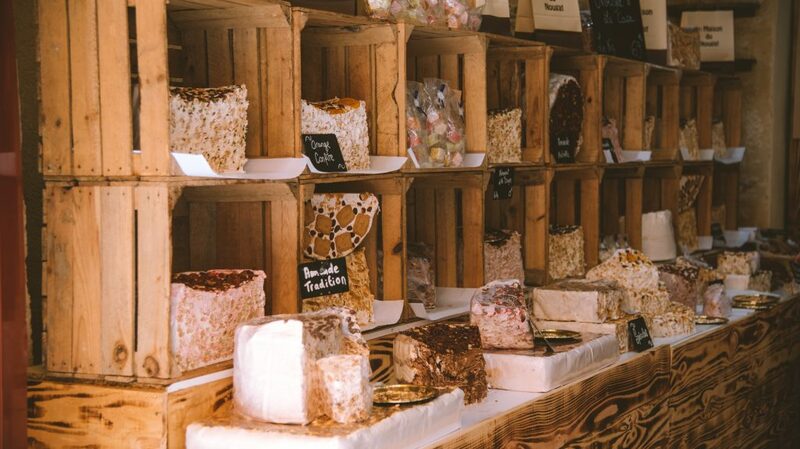 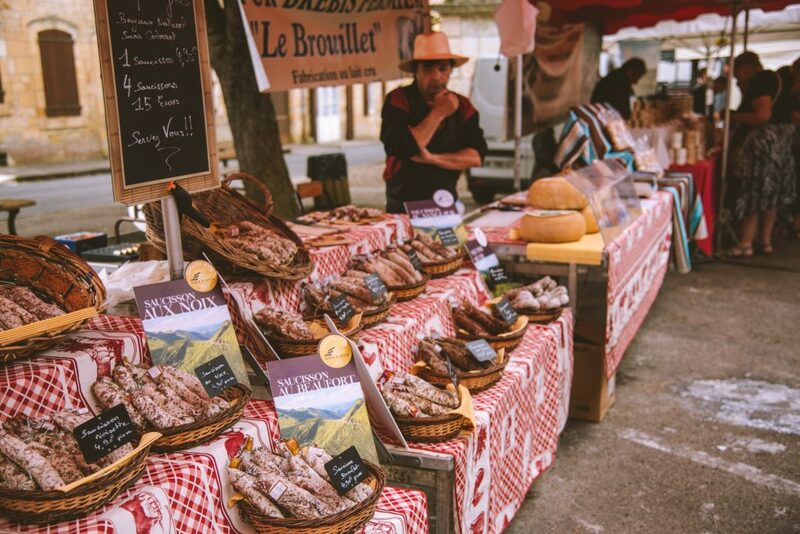 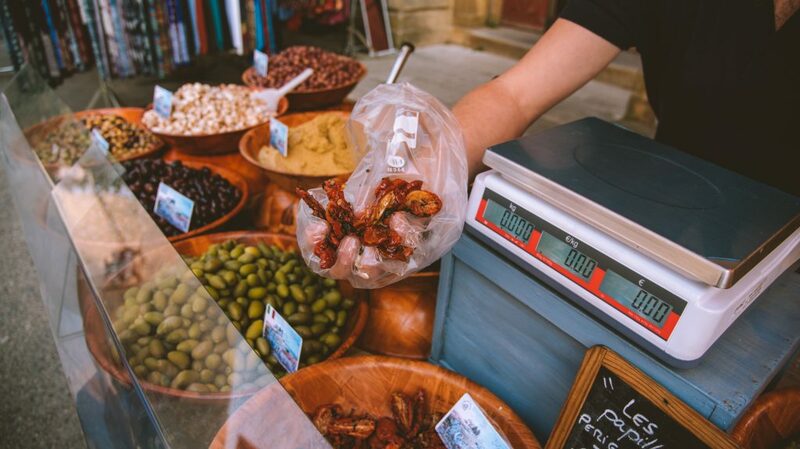 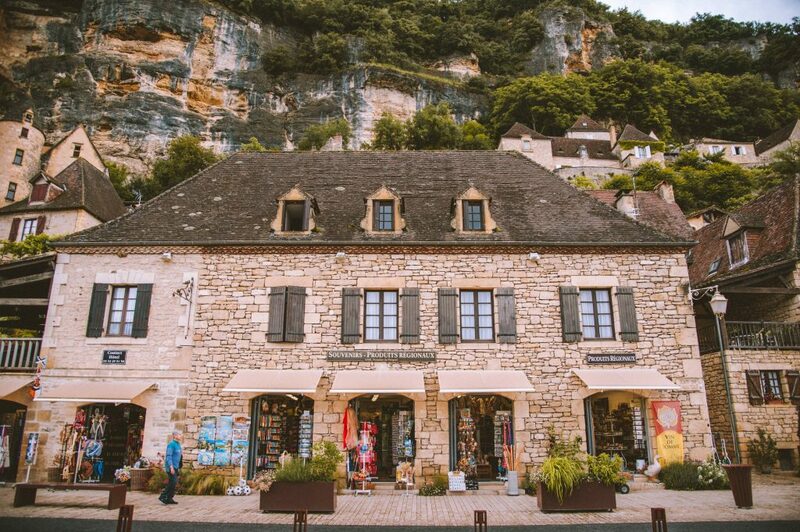 It’s one of those amazing places where you can stroll around cobbled streets for hours, taking in the picture postcard buildings and scenery, the smells (there’s an amazing cheese shop), listen to a live music, browse around the shops and enjoy a coffee or a glass of wine. 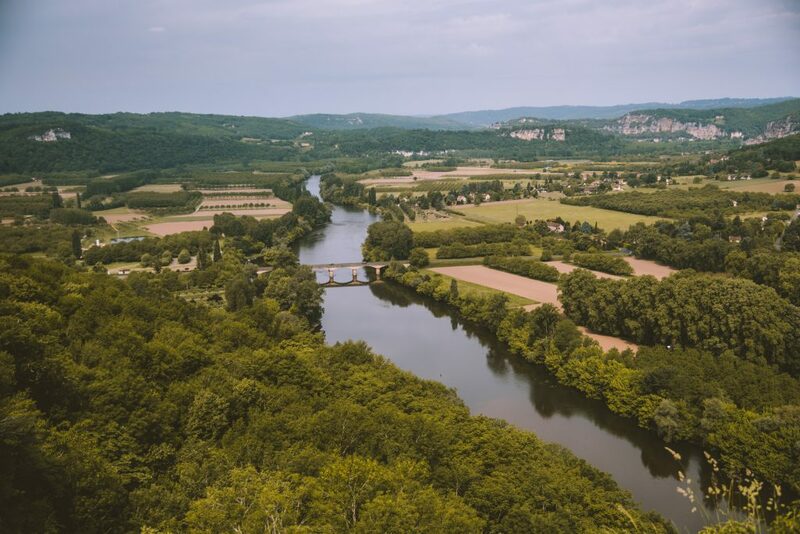 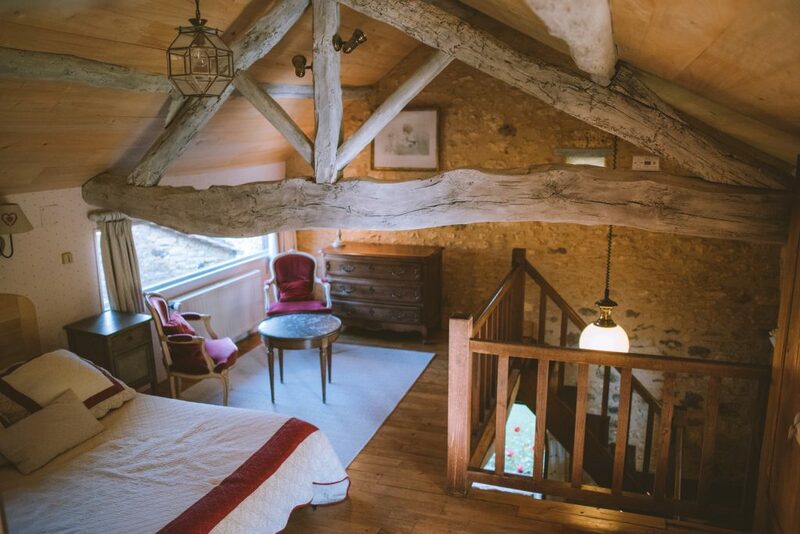 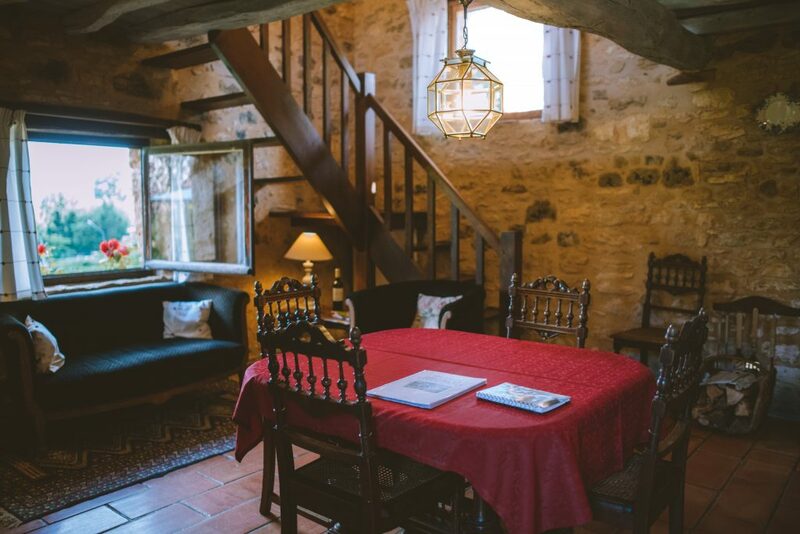 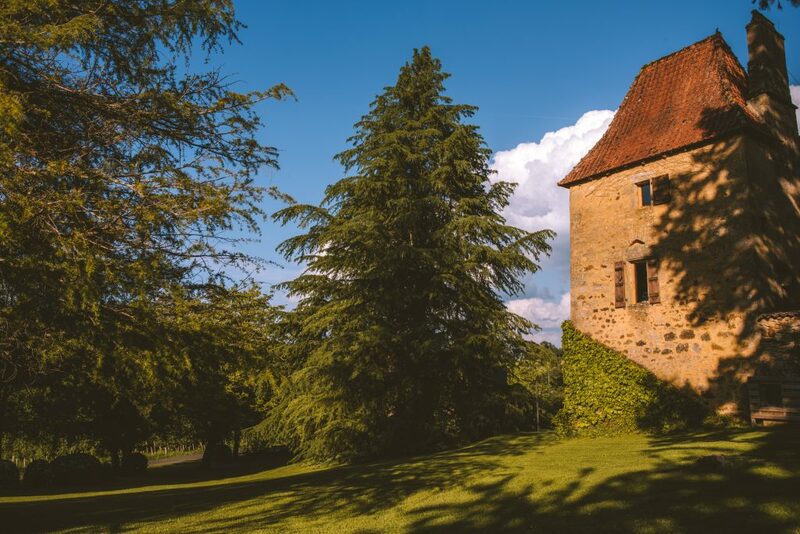 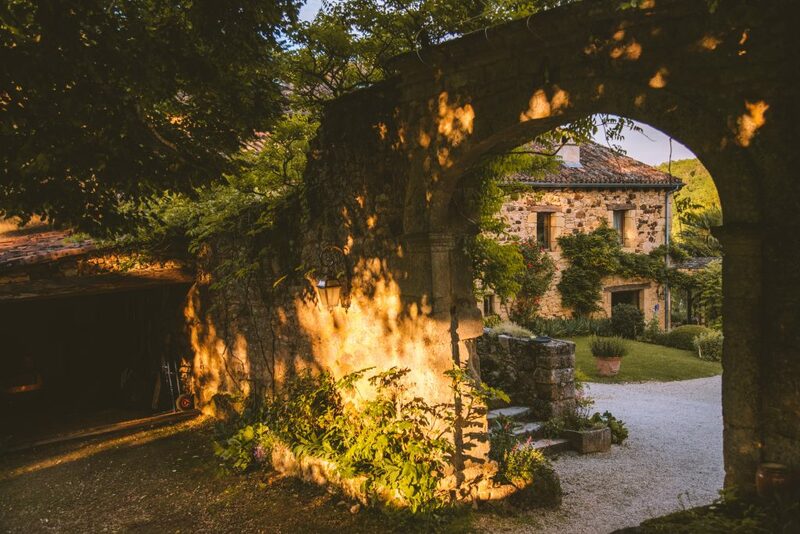 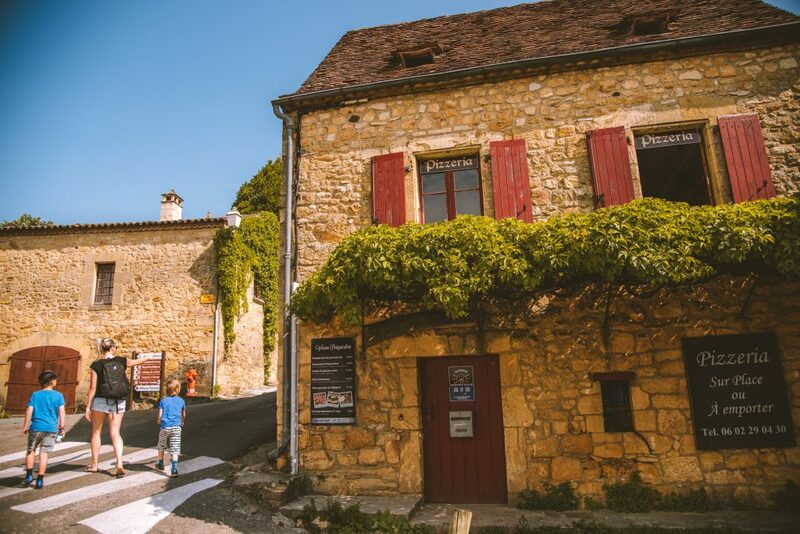 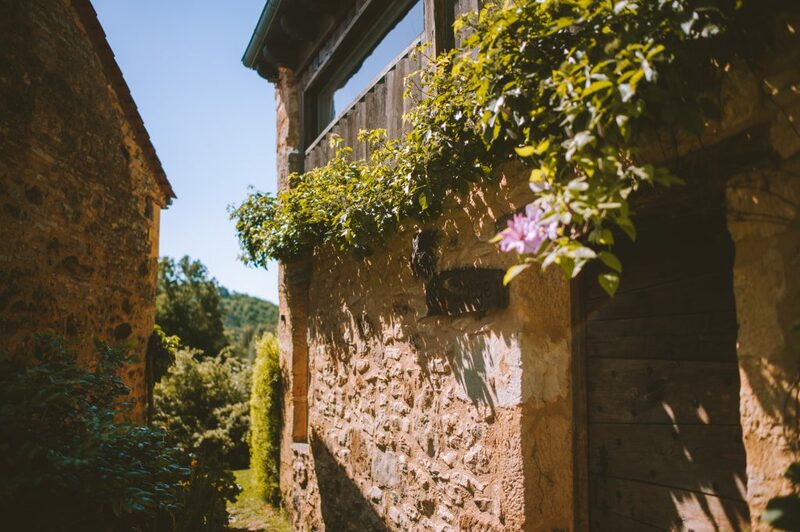 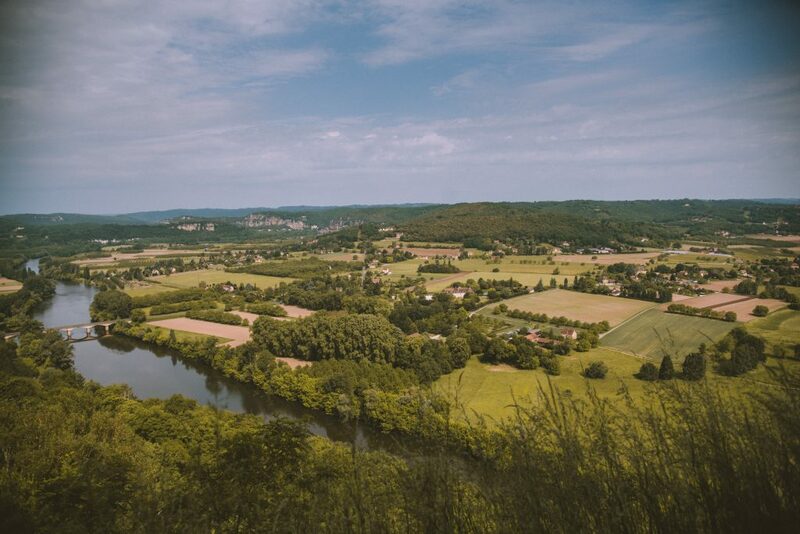 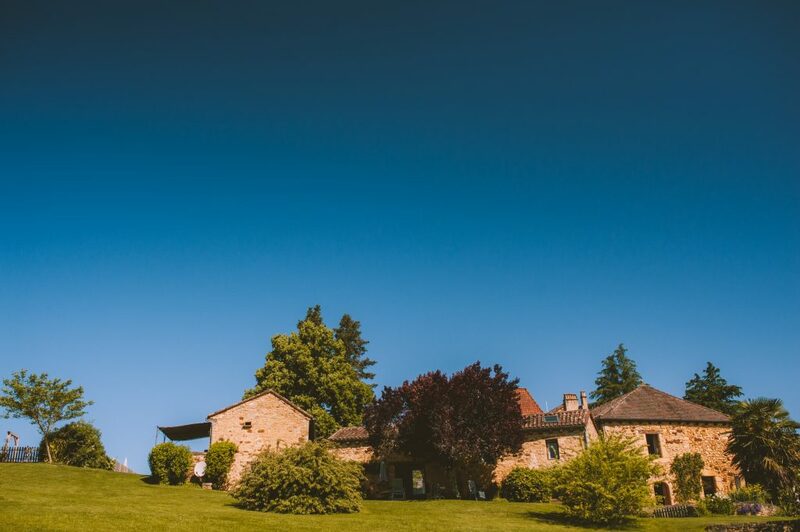 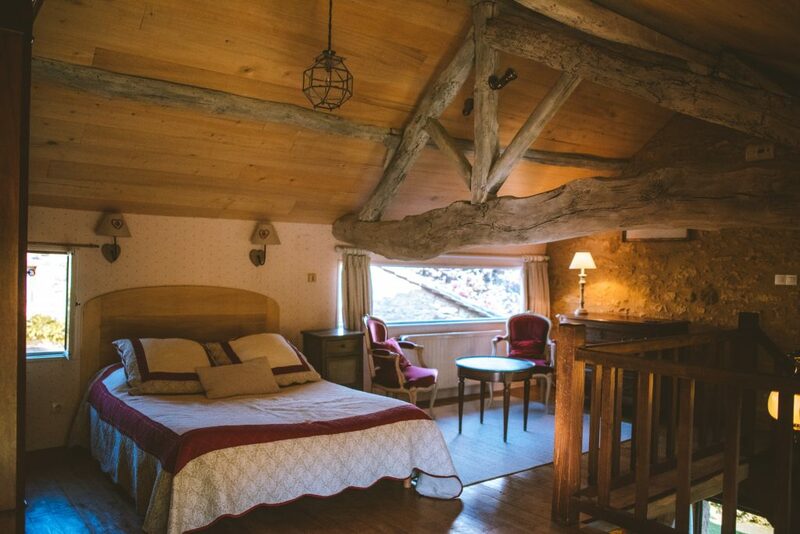 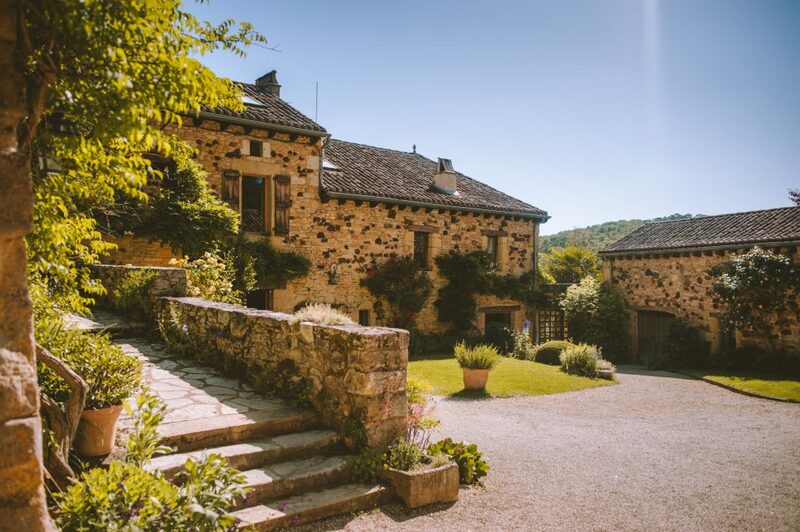 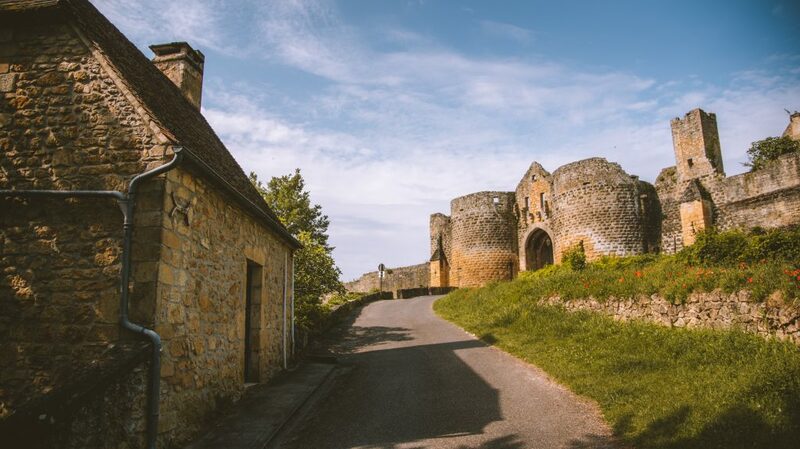 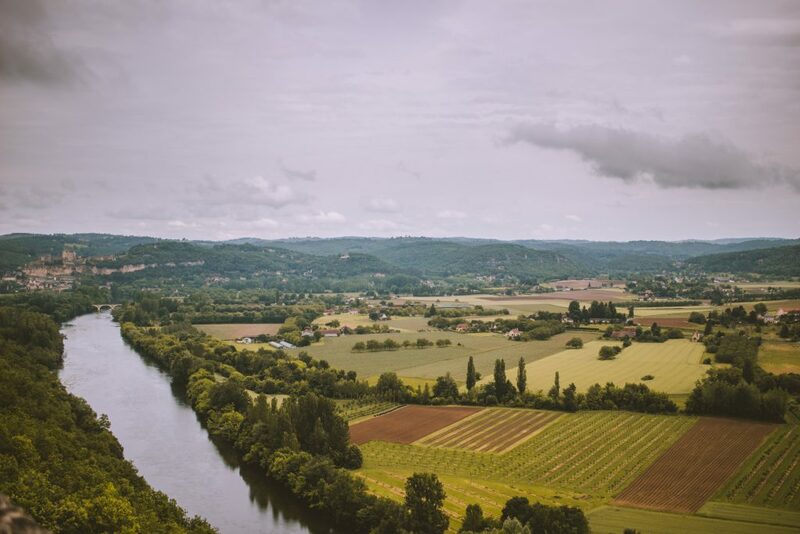 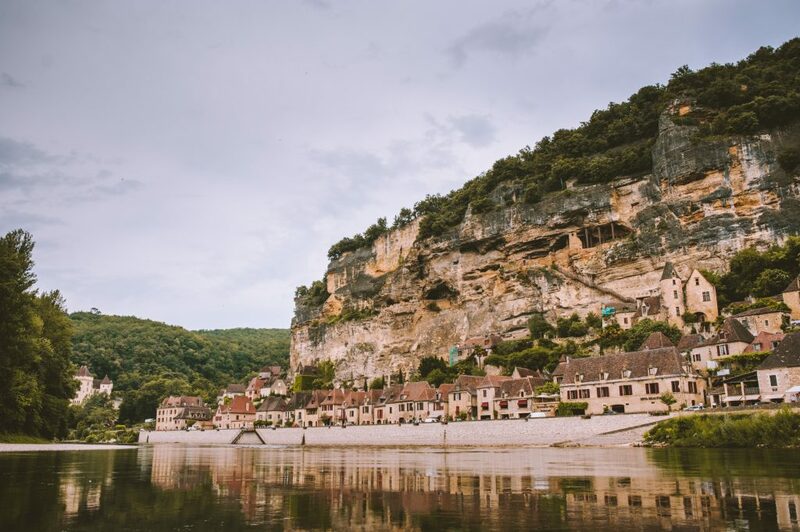 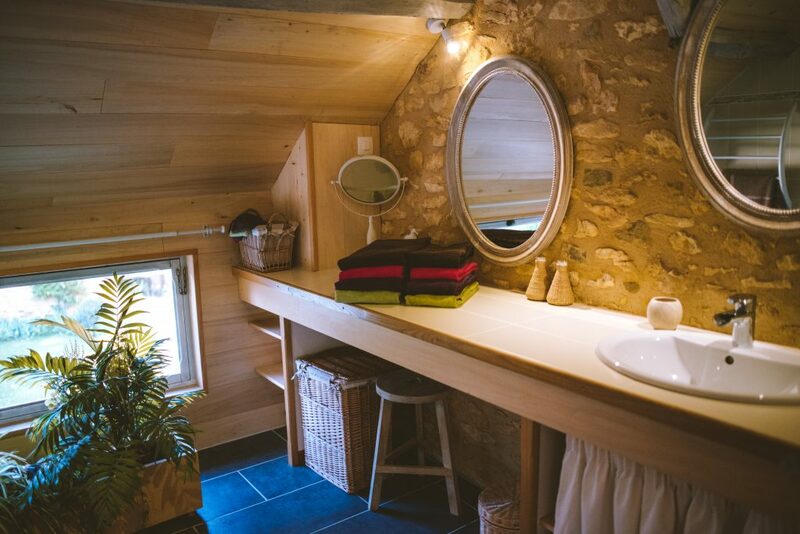 Domme occupies an amazing position high above the Dordogne river and is a member of the association Les Plus Beaux Villages de France (The Most Beautiful Villages of France), and it’s easy to see why. 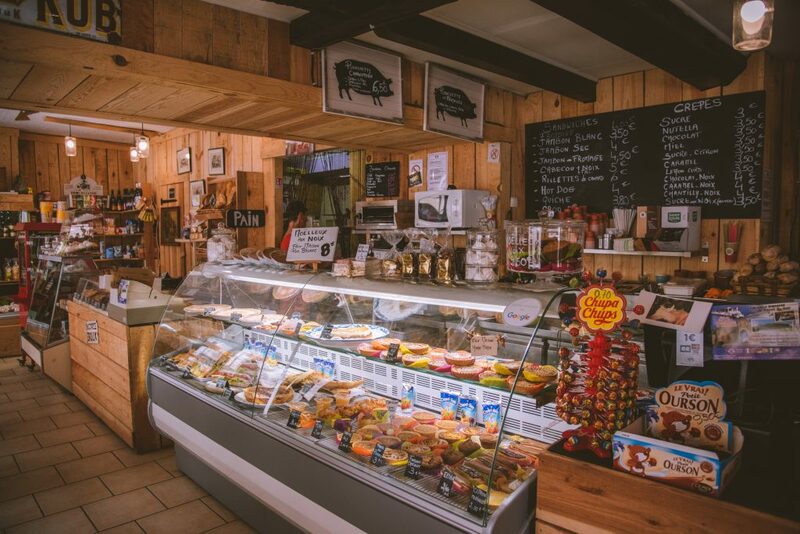 By the time you’ve walked from the car park to the market area, you’ll have fallen in love with Domme. 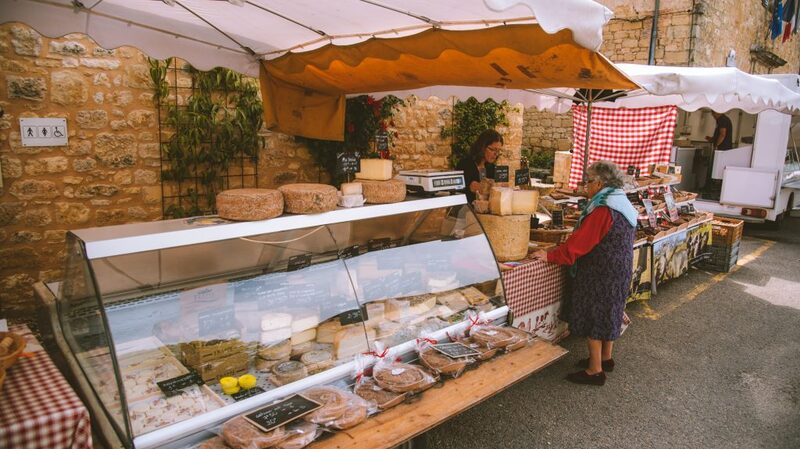 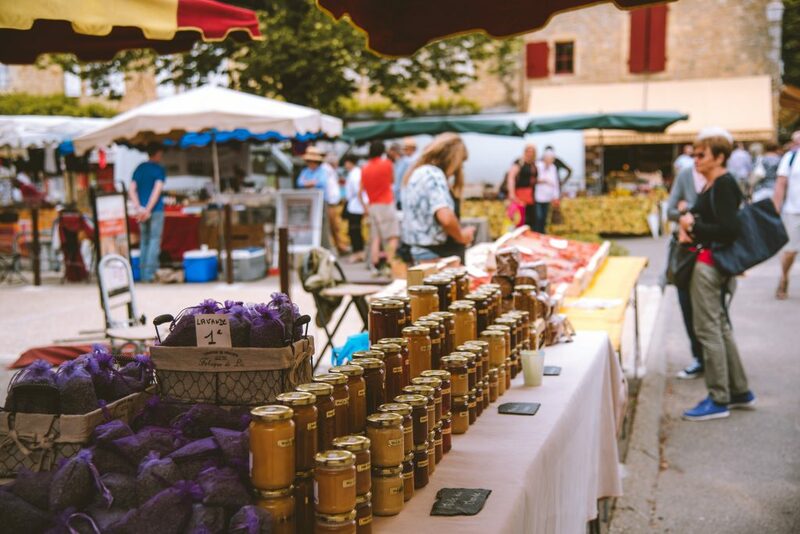 We timed our visit with the weekly market, full of fresh local produce, live music, such as lovely atmosphere. 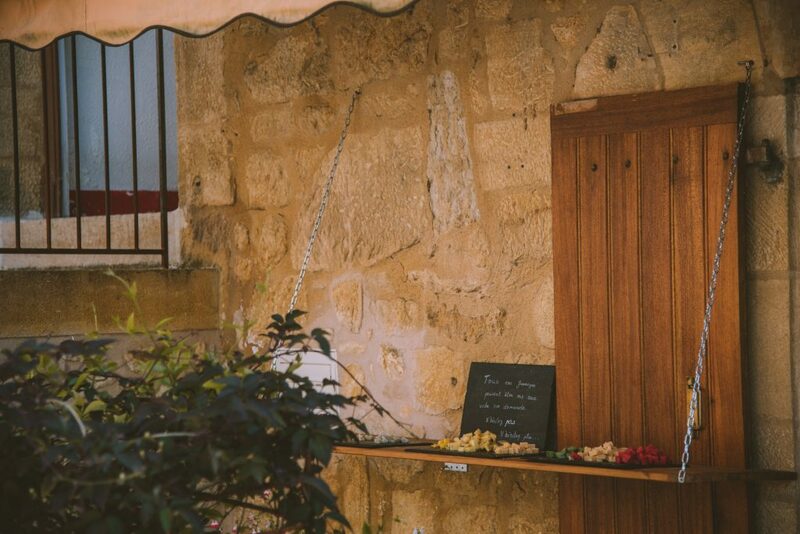 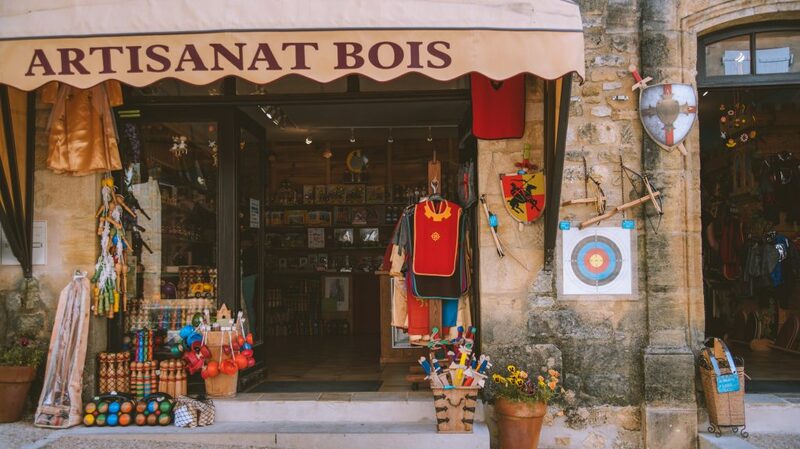 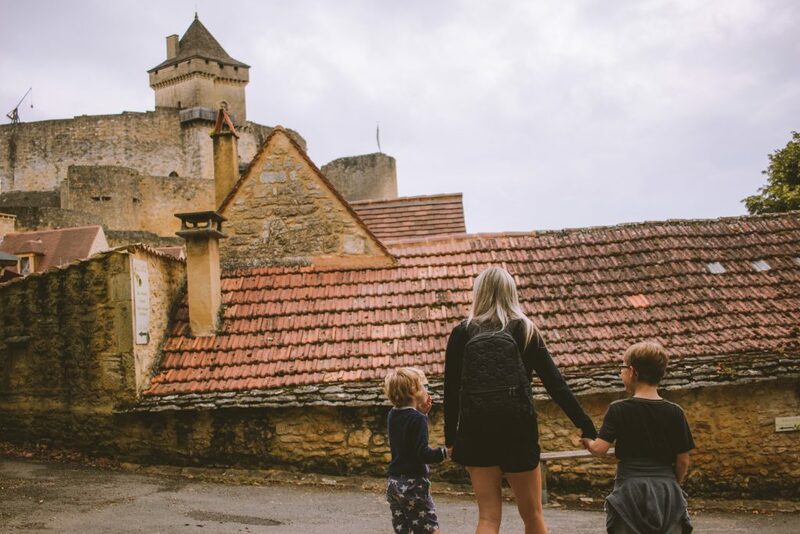 Our boys love castles…so we had to go to castelnaud. 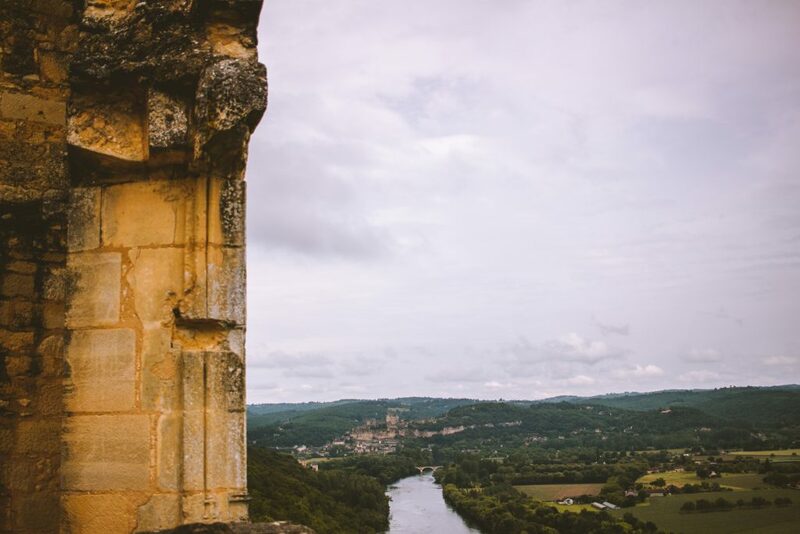 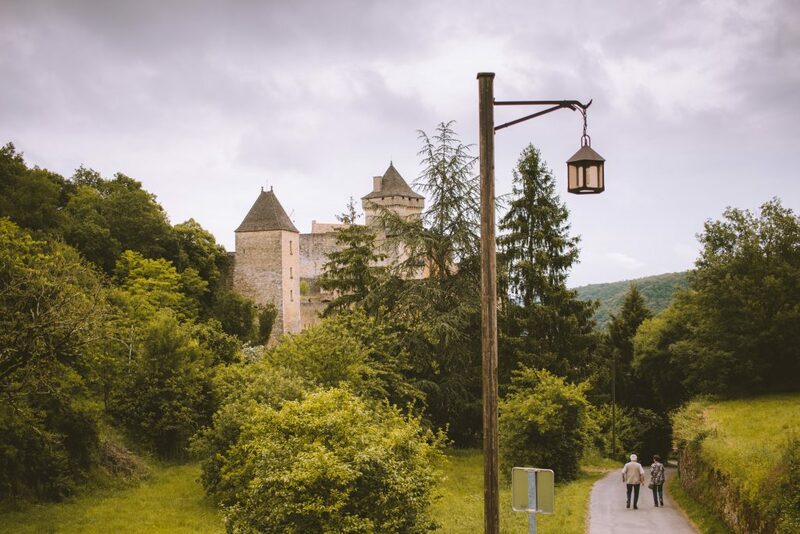 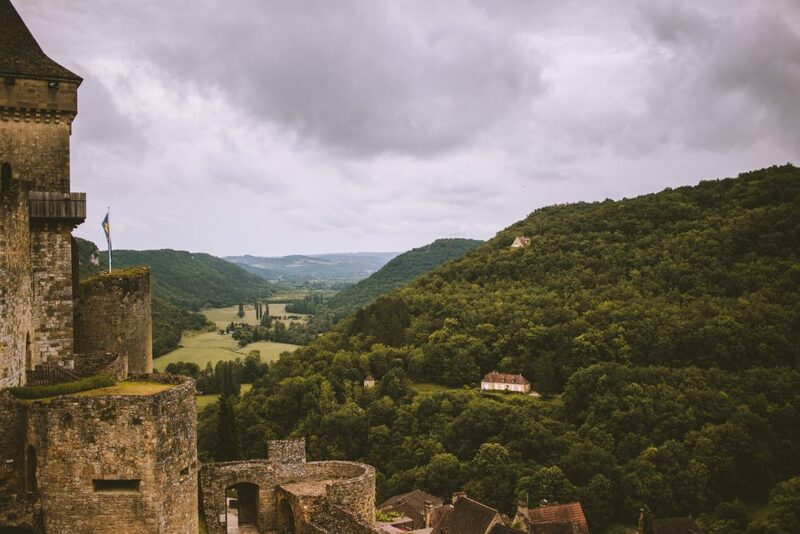 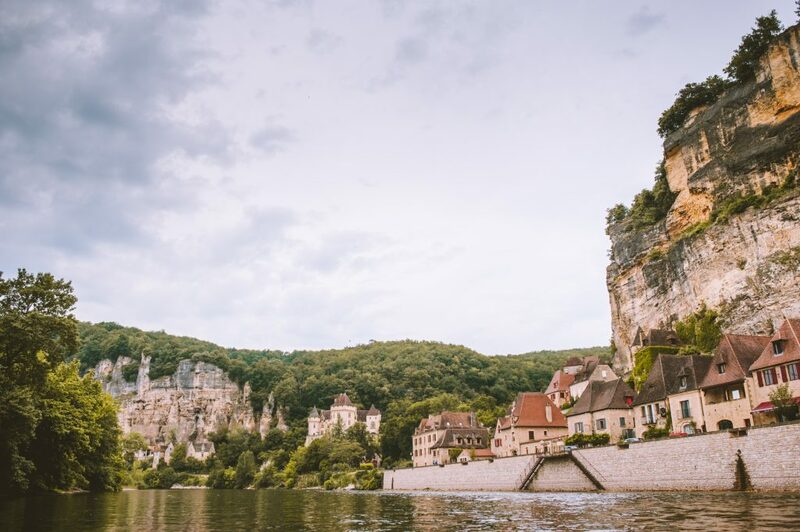 The castle is built on a rocky outcrop in the heart of the Périgord Noir and has amazing panoramic view over the Dordogne Valley. 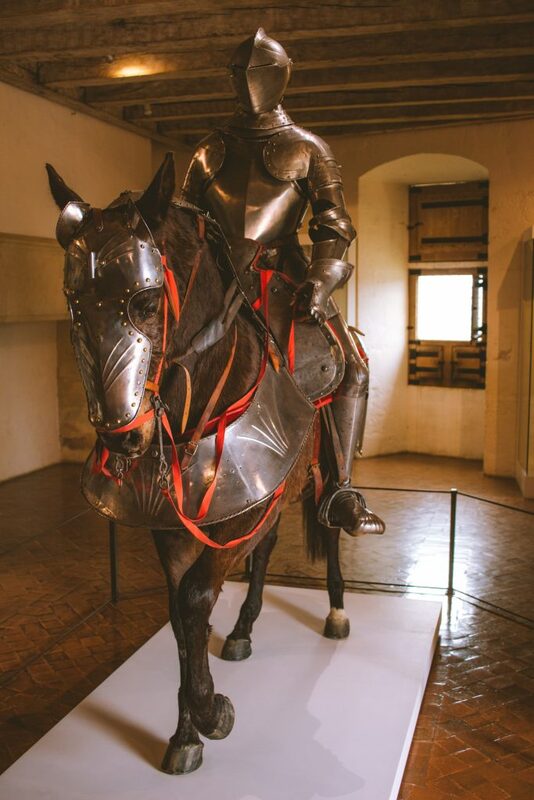 The full scale horse and knight went down well. 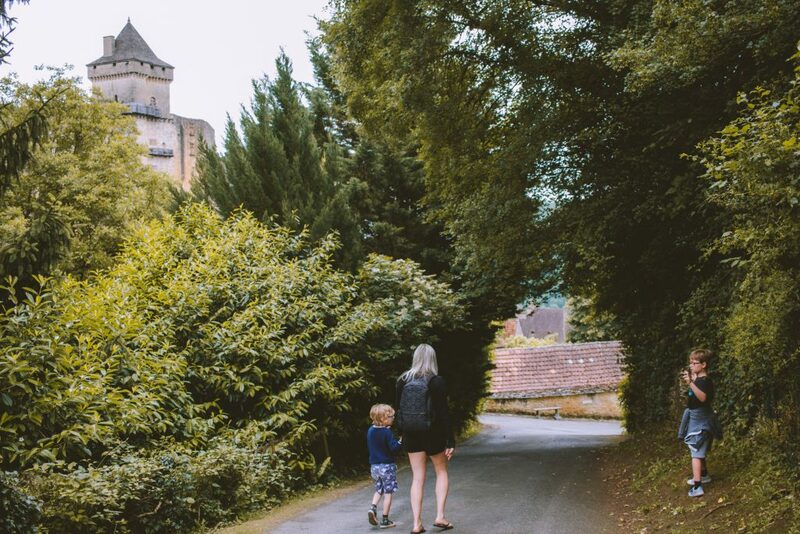 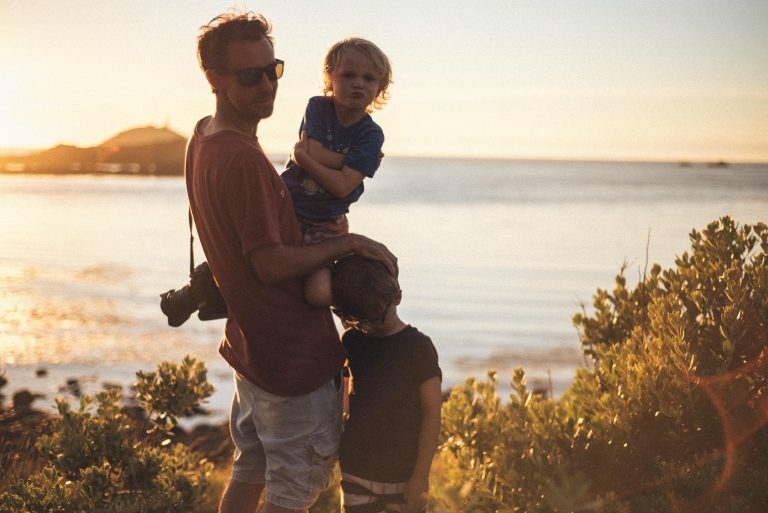 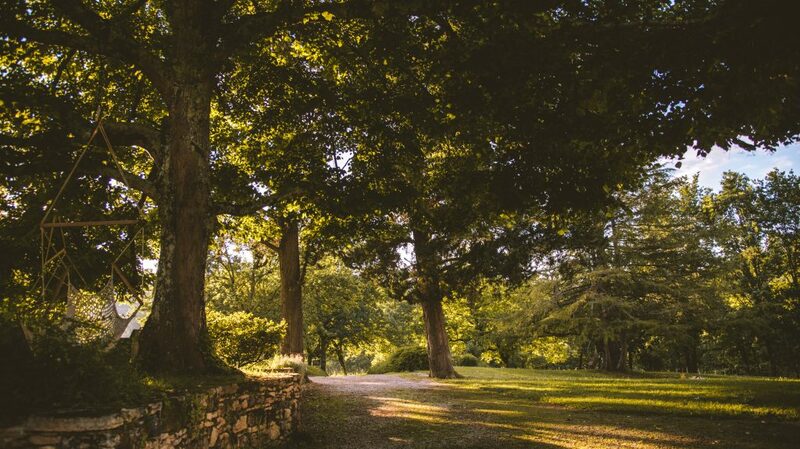 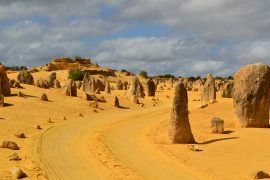 Great place to explore for all the family. 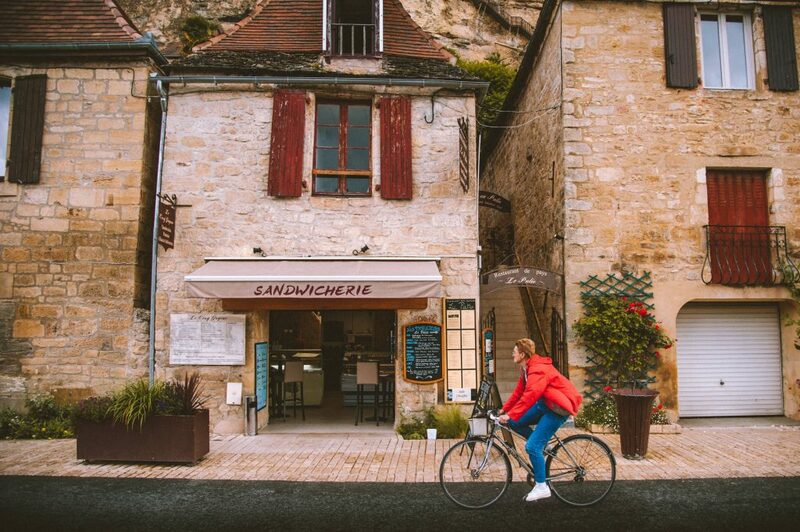 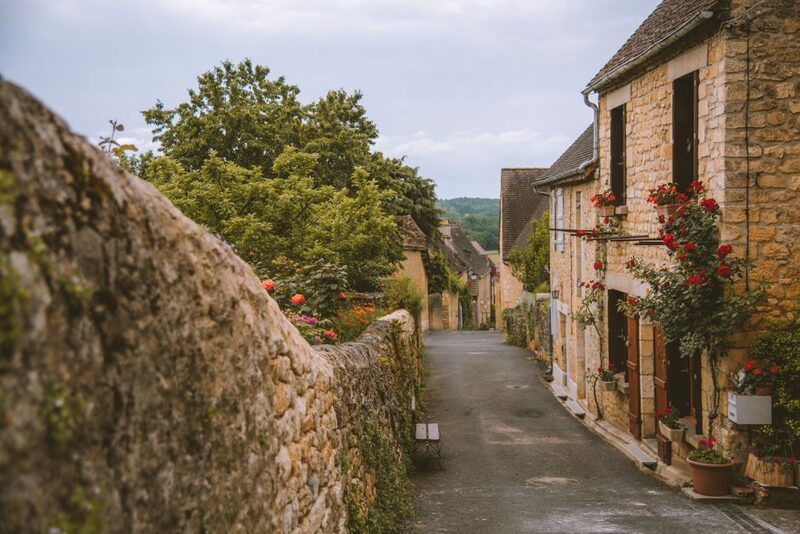 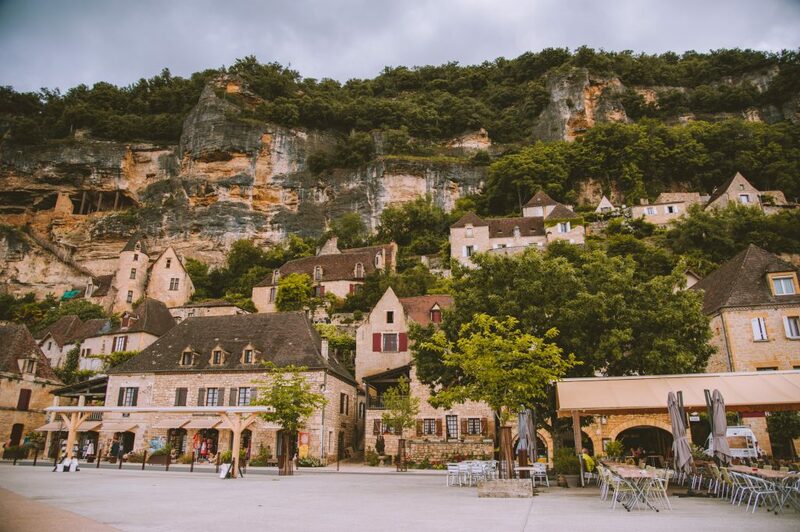 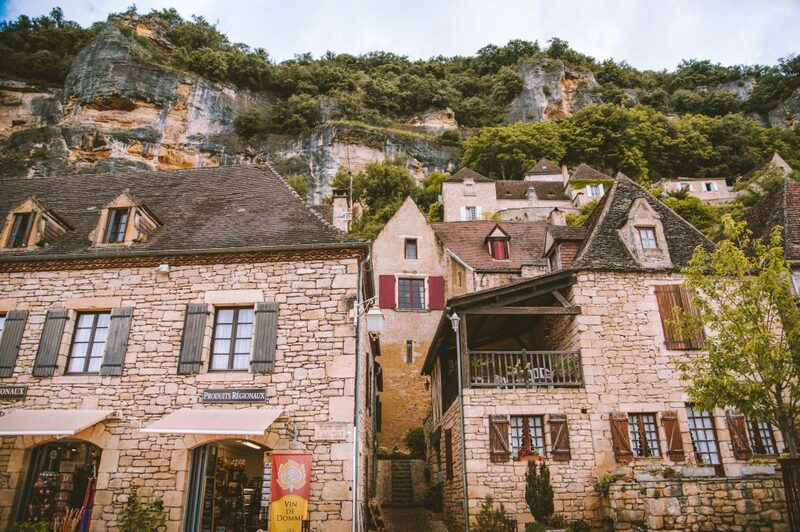 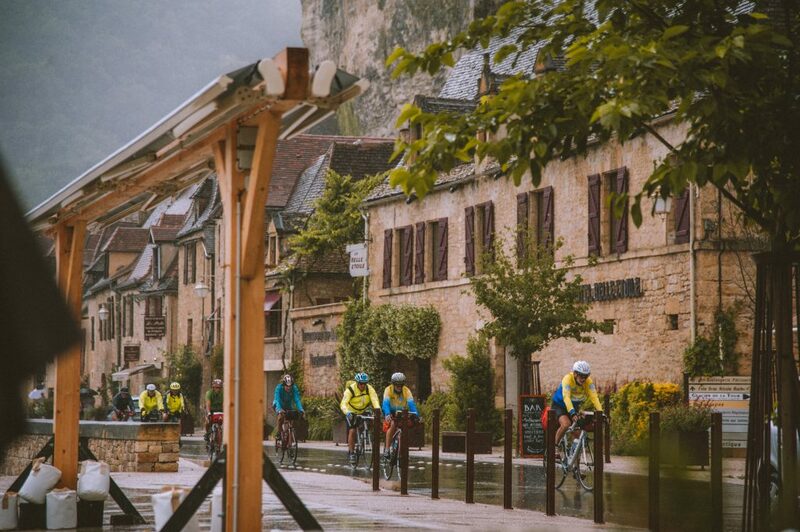 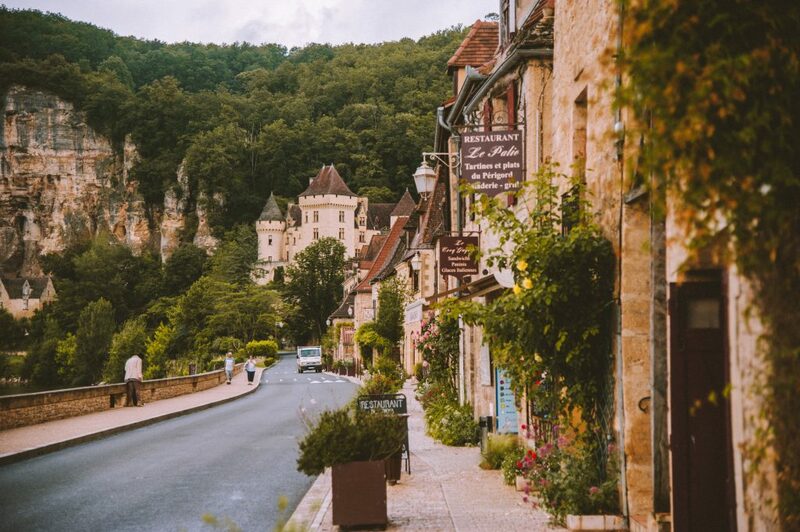 Another on the ‘most beautiful villages of France’ list, Beynac-et-Cazenac was high on our to do list. 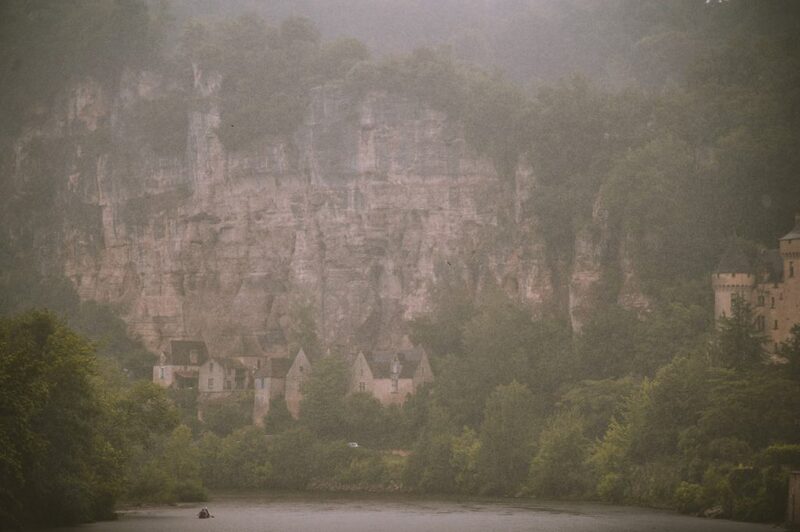 We kayaked past it a few days before and it’s an amazing sight nested between cliff and river. 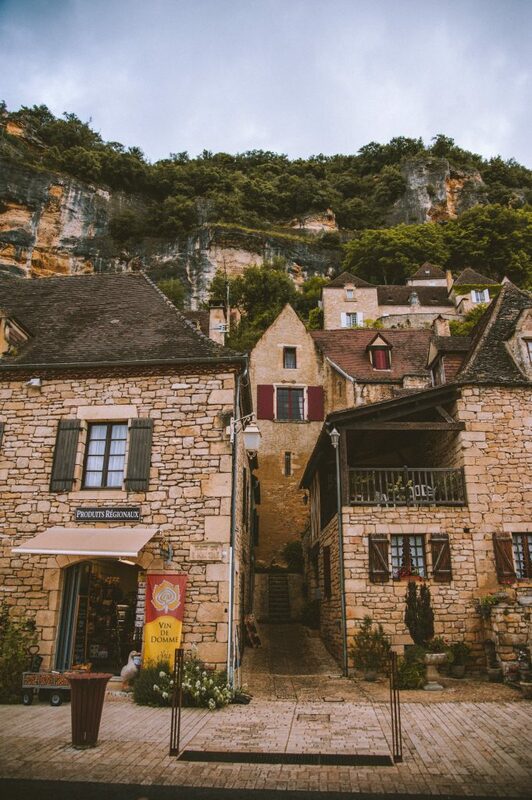 Set in the “Grand Site of Aquitaine” area, Beynac has a unique character and offers a glimpse of a true simple medieval village life. 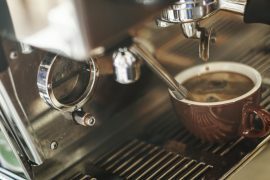 We enjoyed a coffee as we sheltered from a heavy rainstorm that passed bye which added to the enchantment of this place. 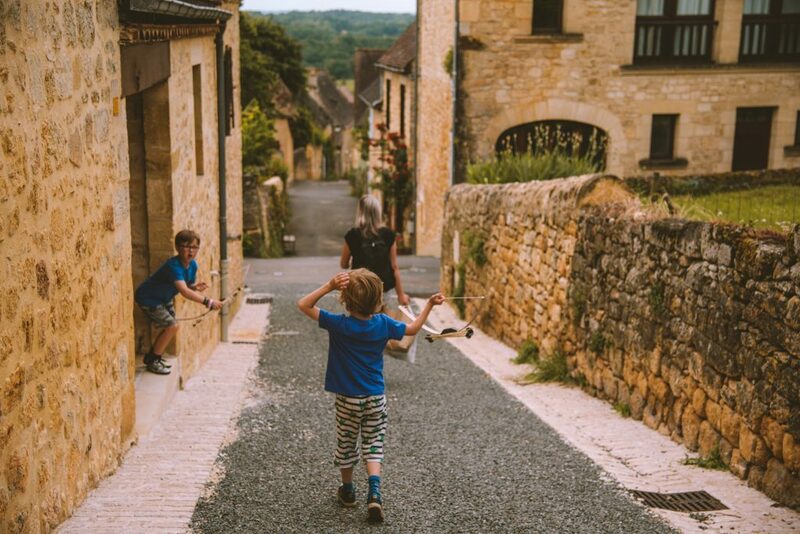 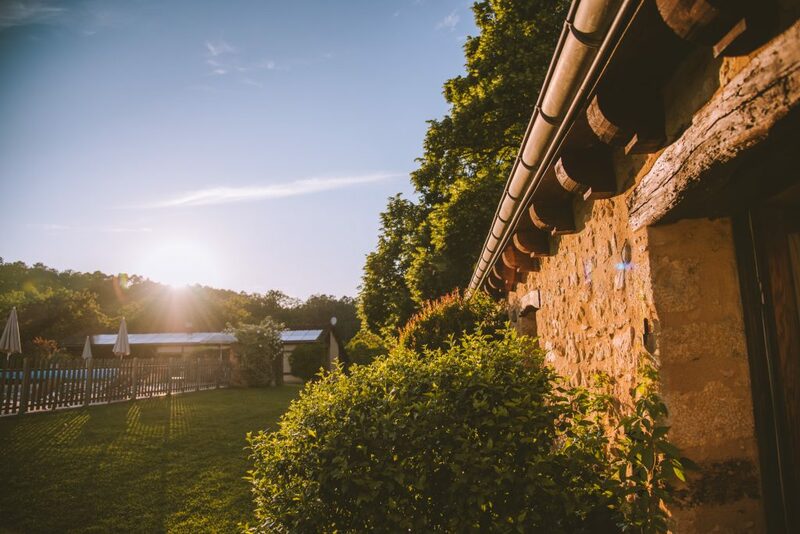 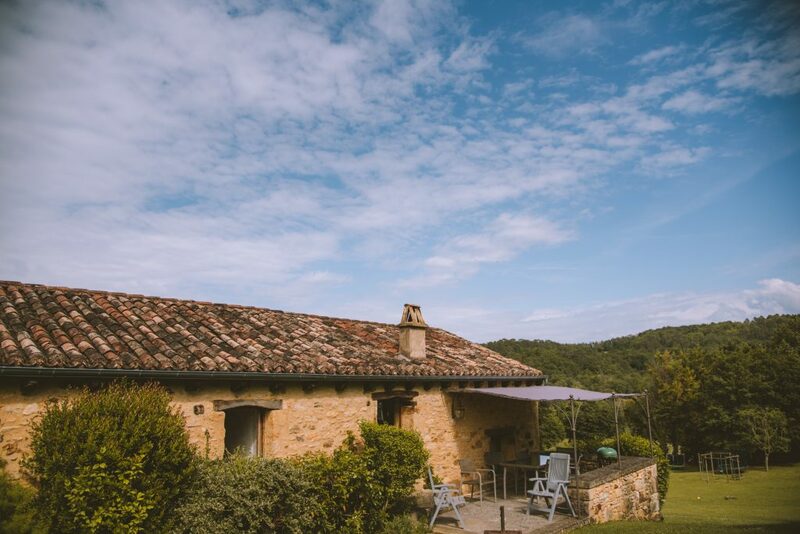 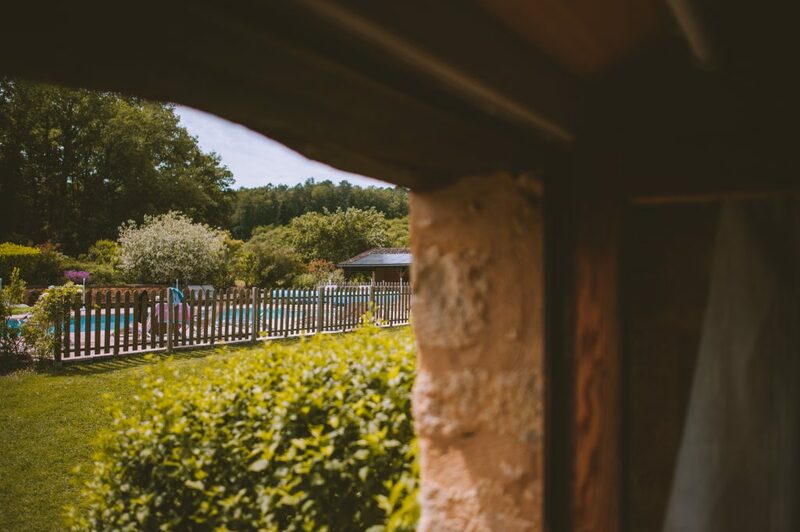 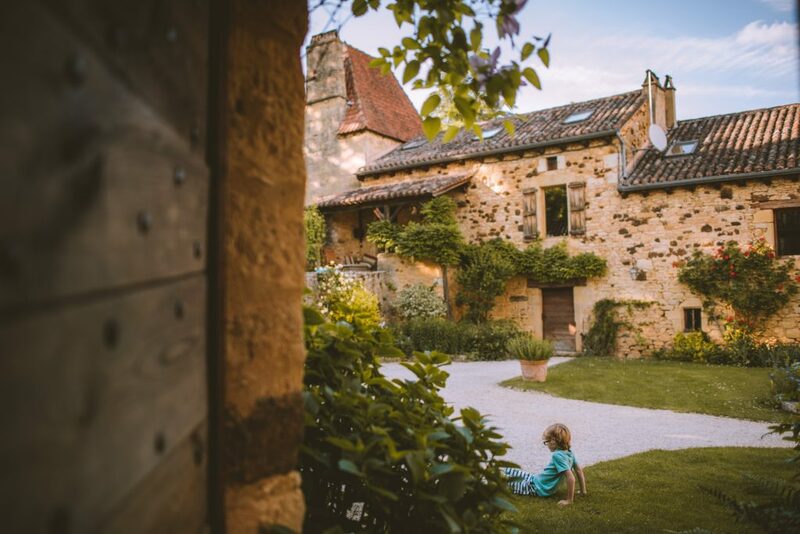 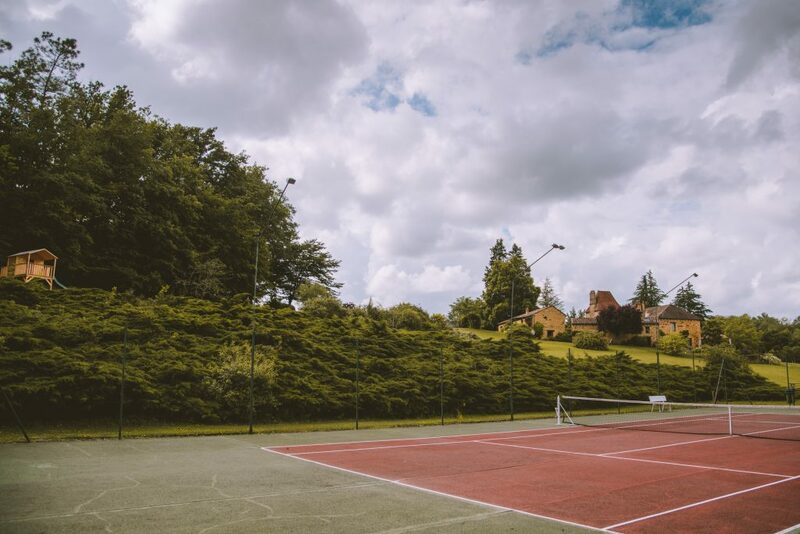 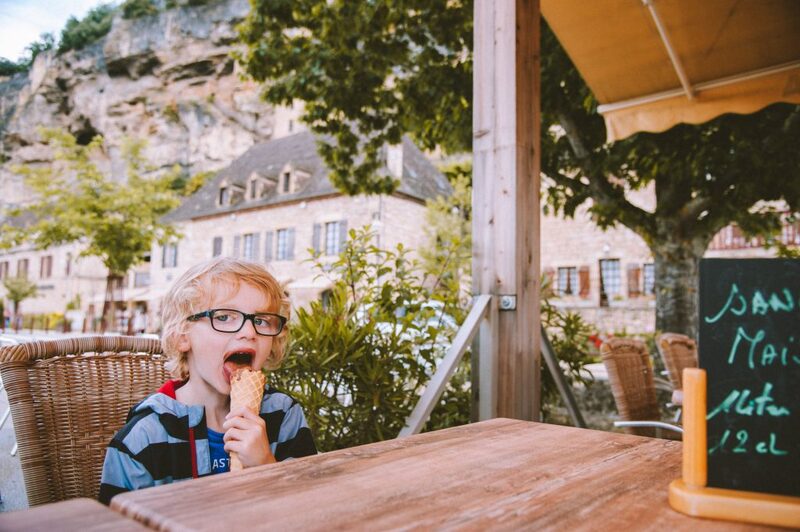 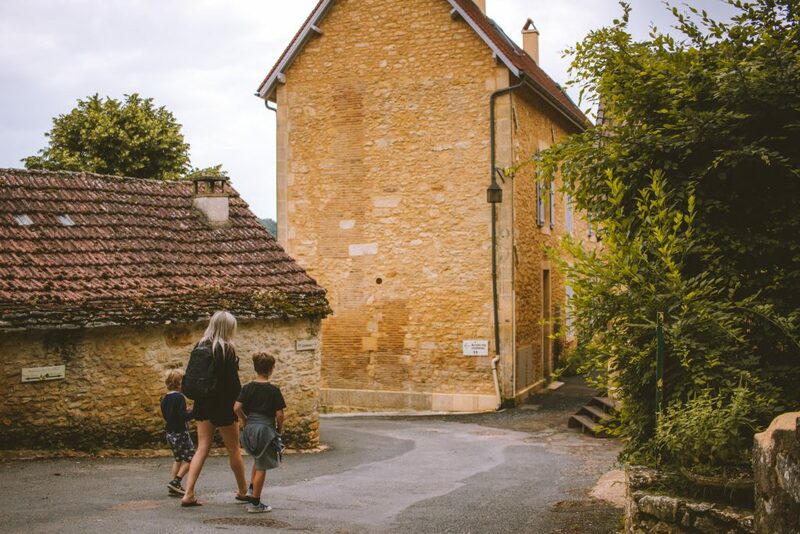 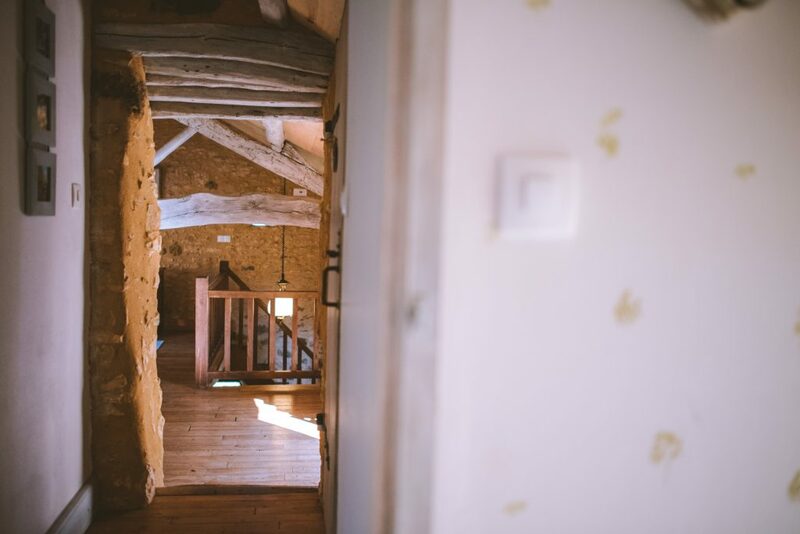 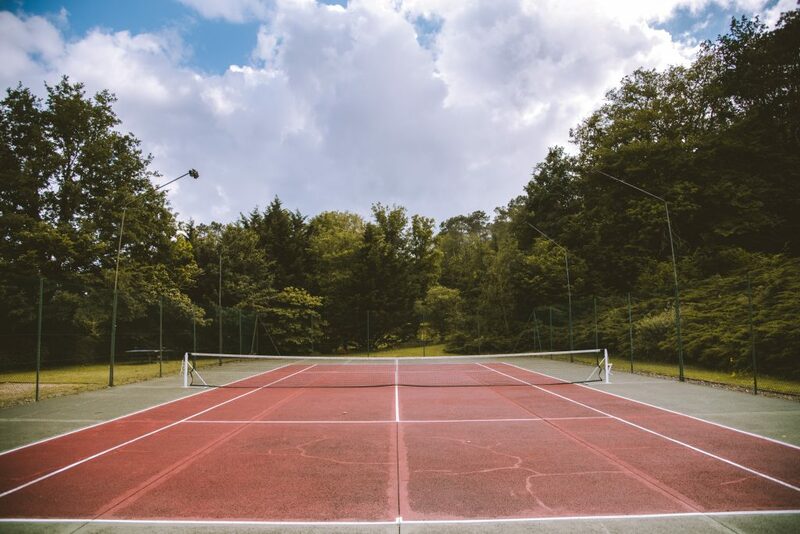 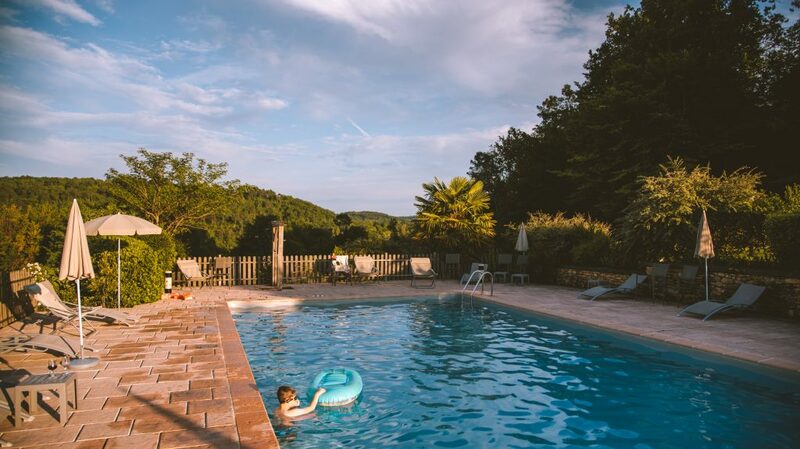 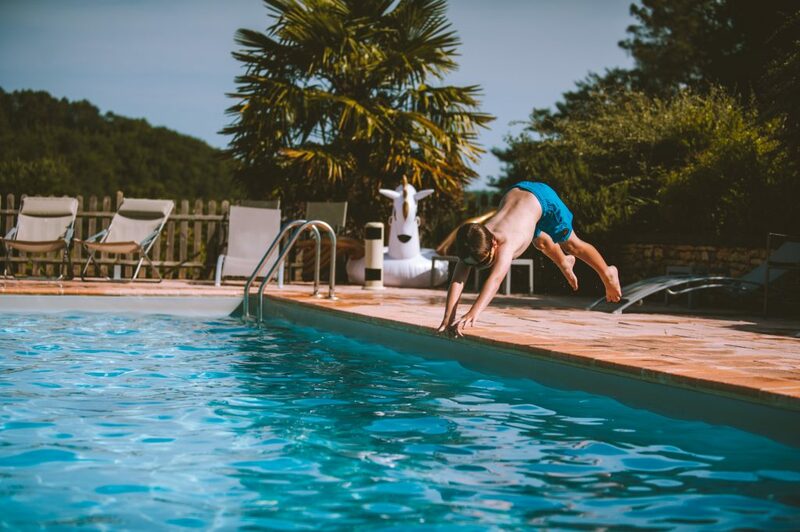 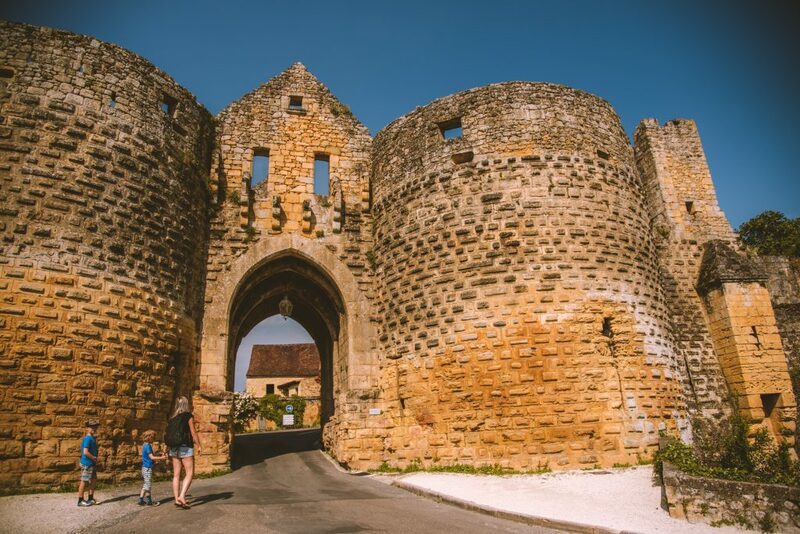 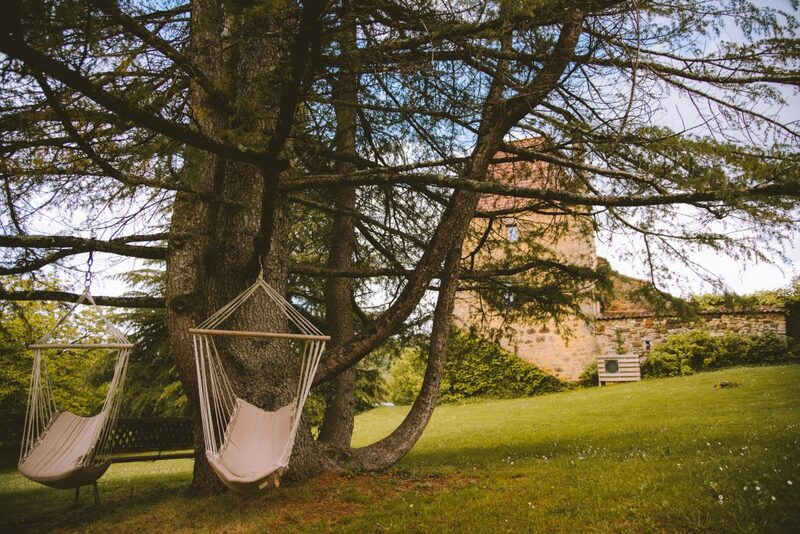 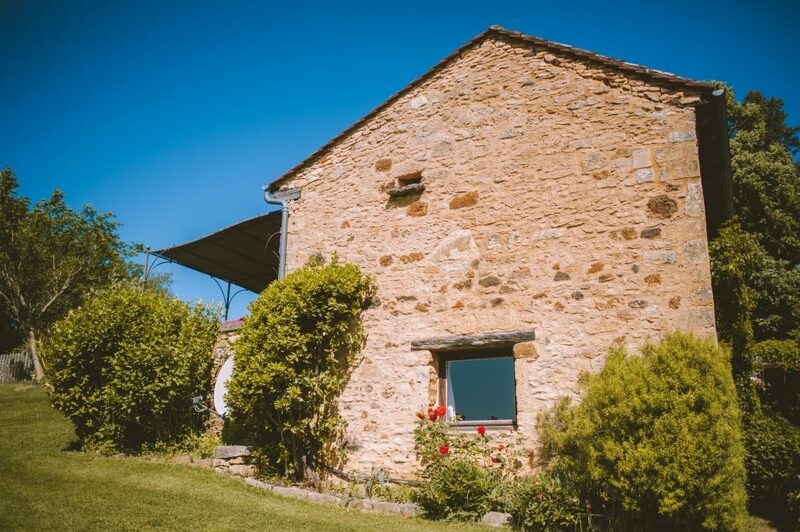 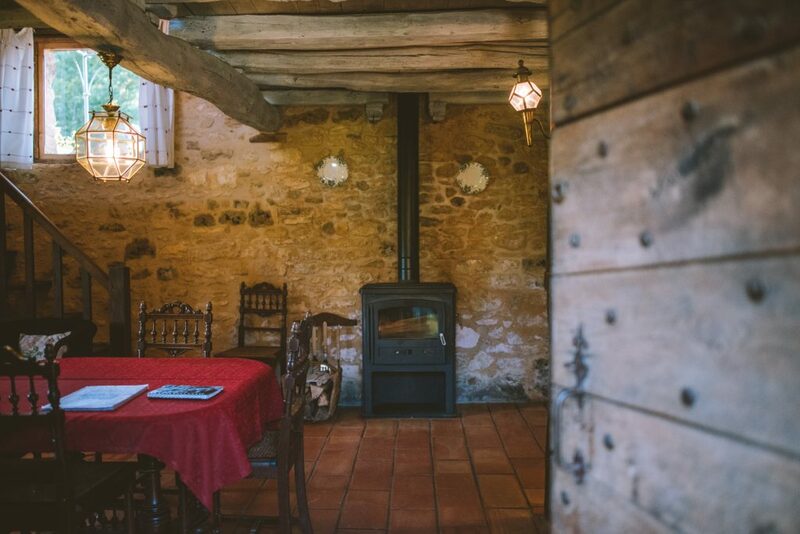 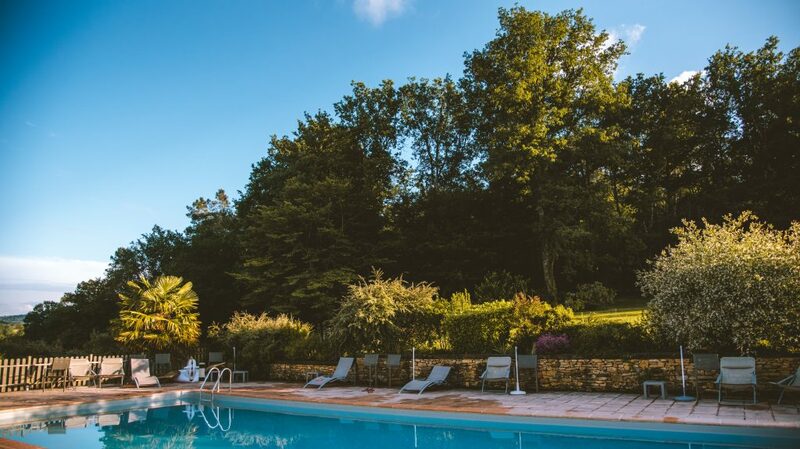 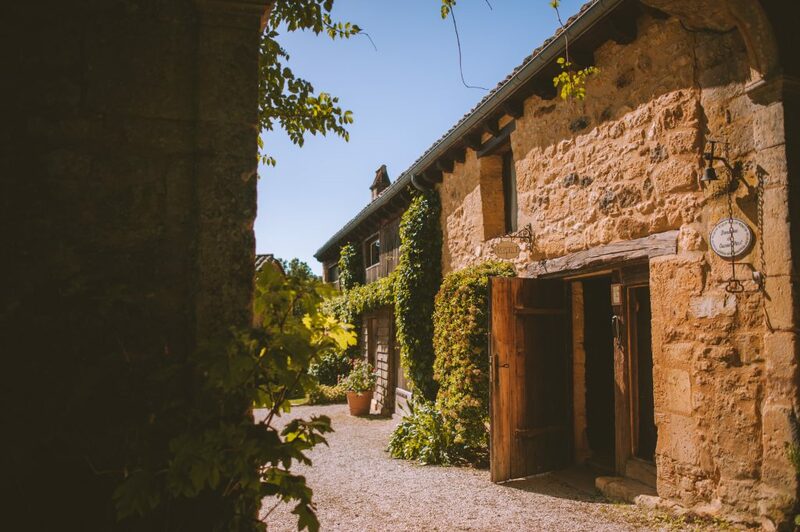 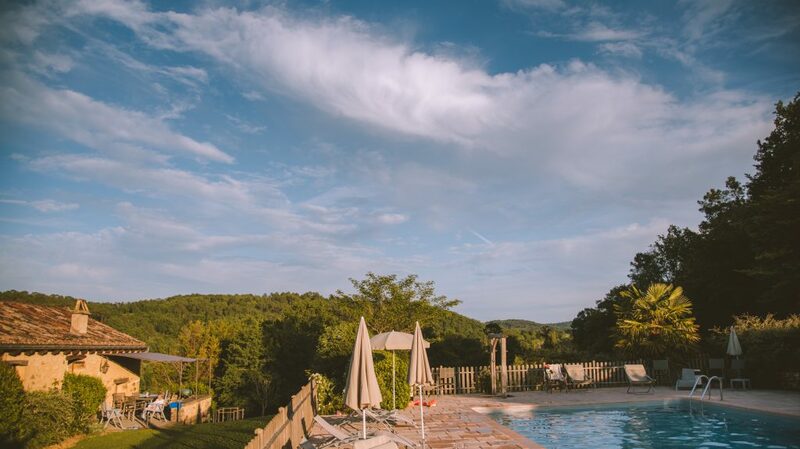 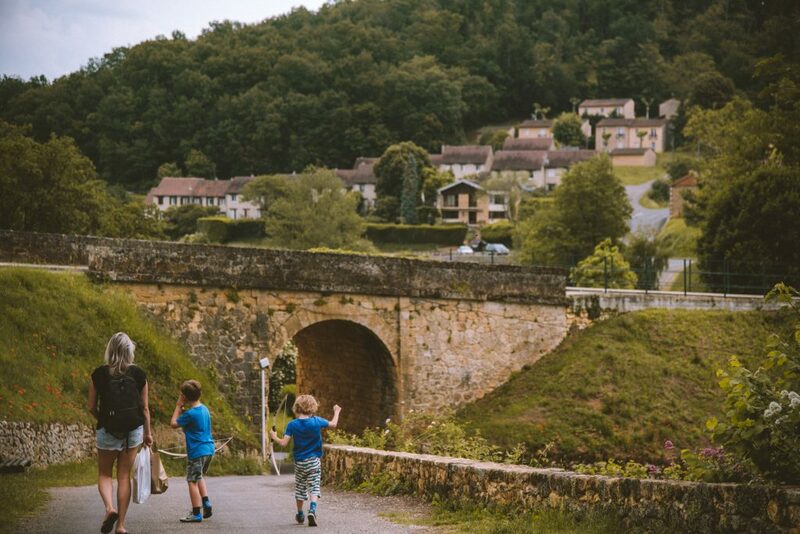 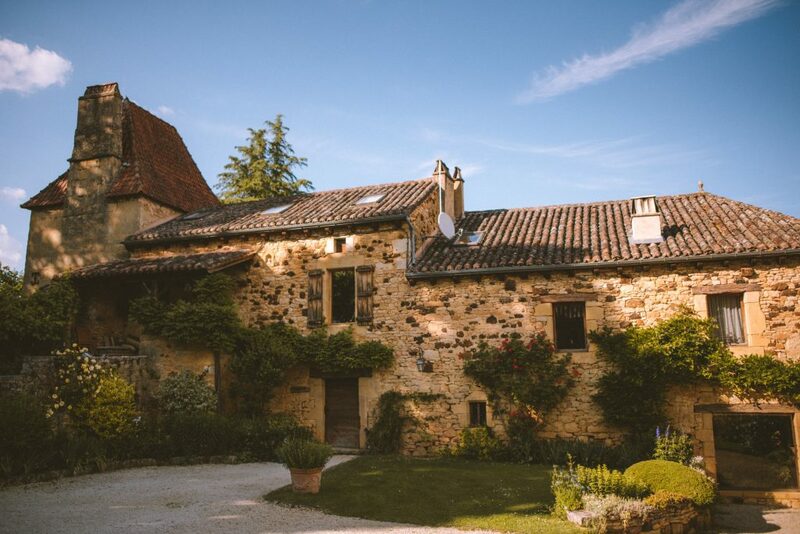 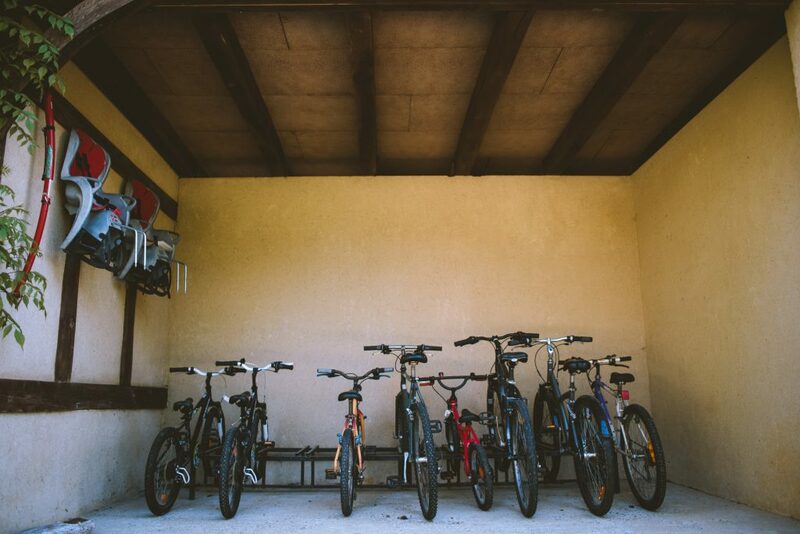 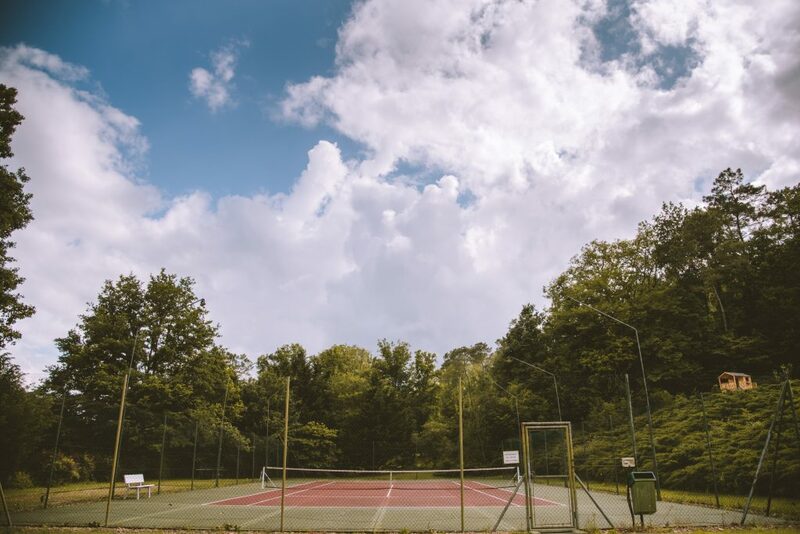 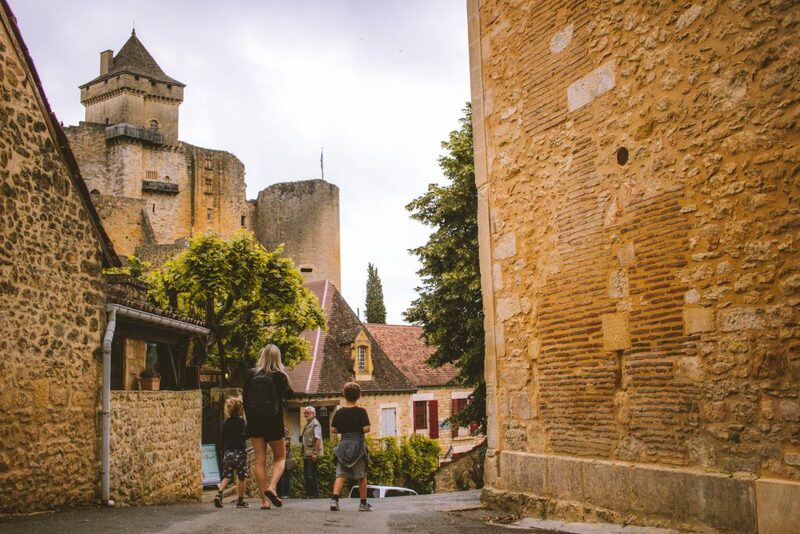 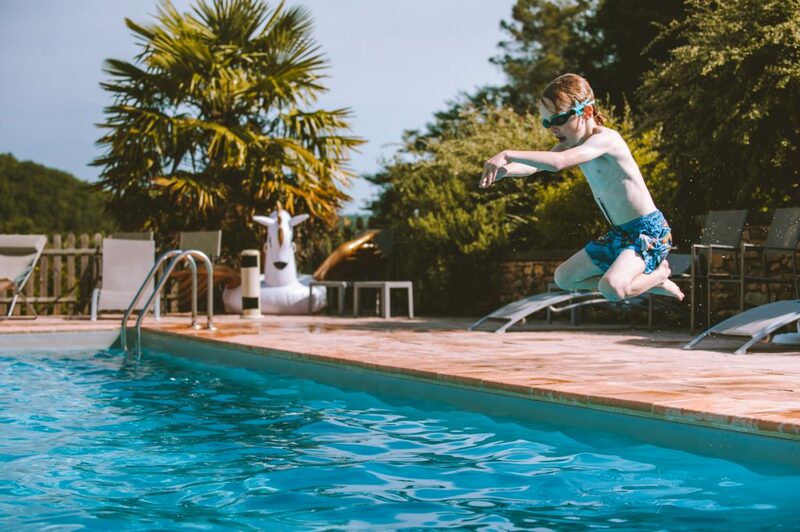 Our family holiday in the Dordogne was great fun and for those looking for accommodation in the area I would highly recommend Domaine de Cournet Haut. 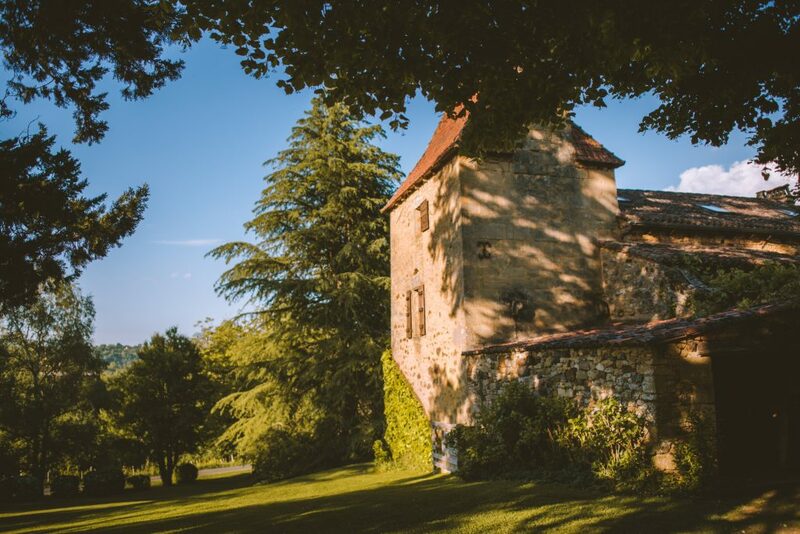 The wedding I photographed in the Dordogne at Domaine de La Léotardie was one of my favourite weddings I’ve photographed to date and I’d highly recommend the wedding venue for anyone looking to get married in the Dordogne region.